The new Maruti Celerio 2017 is coming soon. This new version will be a facelift. The Celerio has been a big seller for Maruti since its launch in 2014. 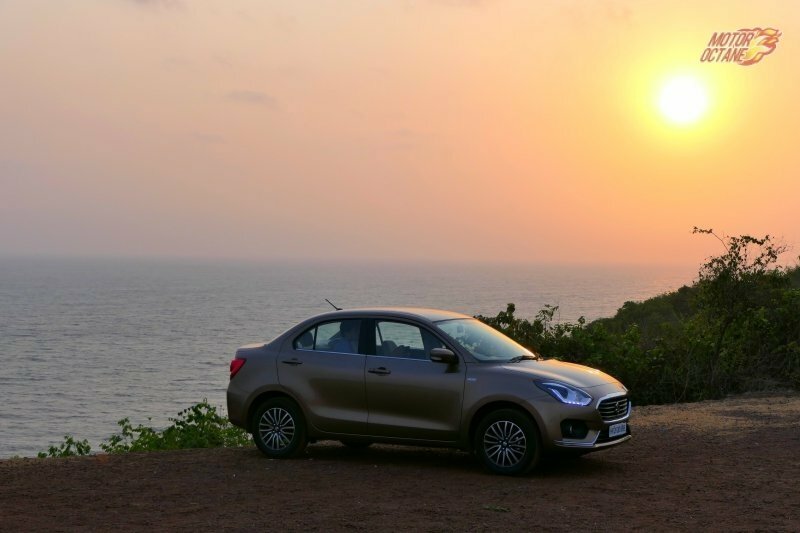 It has been three years since the launch, hence Maruti has decided to launch a facelift. The New Maruti Celerio 2017 will be launched in 2017. The upgraded version of the Celerio will come as a refresh and is expected to come with new features. The Maruti Celerio 2017 will once again take on competition and will try be the best value in its segment . What will the New Maruti Celerio 2017 have on offer? Read our detailed preview. The New Maruti Celerio will be launched by the end of 2017. This will be a refresh of the existing Celerio and will make it more competitive in terms of it’s offerings. The Celerio has made its mark asa practical car and the New model will continue to have these traits. The New Maruti Celerio 2017 will not see any major change in its pricing. To be competitive, Maruti will continue with similar prices, however, the higher variants my see a slight increase, owing to new features. The New Maruti Celerio 2017 will get some updates on its exterior. There will be a new front grille and there will be lots of chrome on it. The car will be getting new bumpers on the front and rear. There will be new fog lamps as well. The side profile will be the same and there will not be any major change. There will be a new set of alloy wheels on offers and the steel rims in lower variants will be getting new wheel covers. The New Maruti Celerio 2017 will get updates on its dashboard. While the basic dashboard design will not change, there will be quite a few changes to its styling. The interior colour theme will also change. The dashboard will get new accents. There will be a touchscreen system on the top variant, however, the lower variants will get a regular audio system with bluetooth. 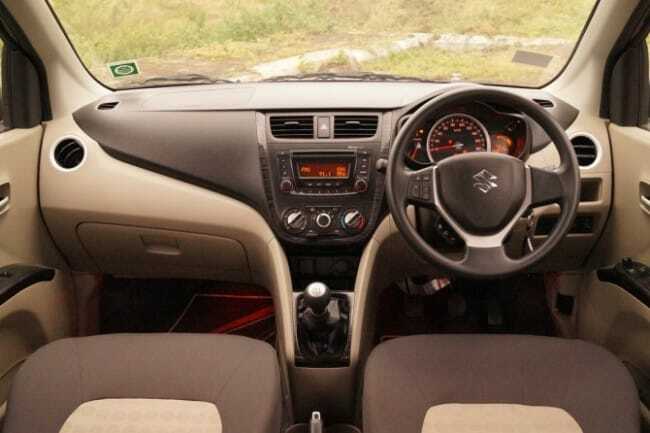 This time, the Celerio 2017 will get better quality interior. There will be some additional features on offer too. These additional features will include a touchscreen, reverse parking sensors, steering mounted audio and bluetooth controls and even updated seat fabric as well. 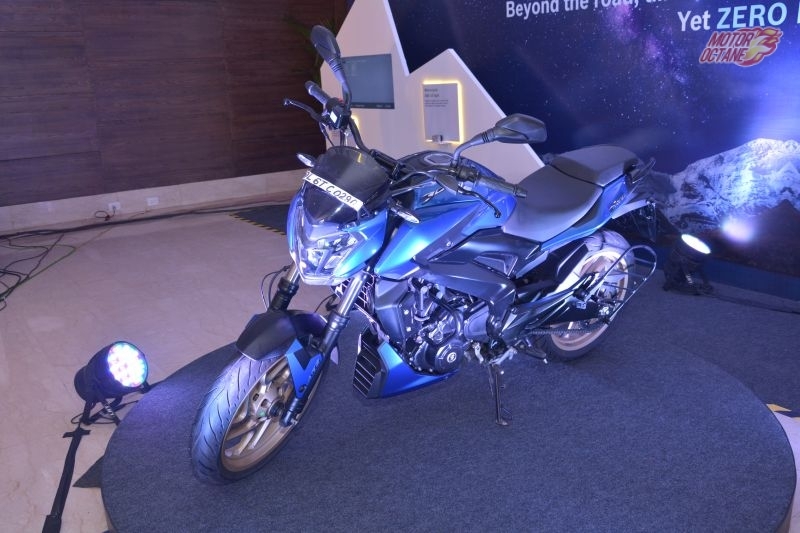 Safetywise, there will be dual airbags and ABS on offer, mostly as standard across all variants. A 1.0-litre petrol engine will continue to be offered in the New Maruti Celerio 2017. This engine will churn out about 64bhp of power and 90Nm of torque. It will come mated to a five-speed manual transmission. There will also be an AMT option. There will be no change in the engine, as this engine has good performance and also is fuel efficient. The Celerio will also be offered with a 1.0-litre CNG option that will churn about 57bhp of power and it will come with a five-speed manual transmission as well. The 800cc diesel engine which was present earlier will not be offered on the New Maruti Celerio 2017. 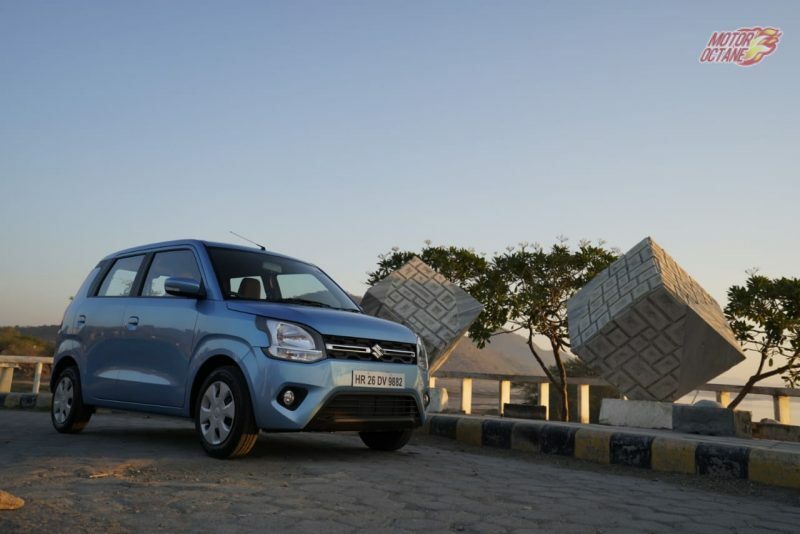 Due to low demand for diesel, Maruti has discontinued the diesel engine on the Celerio. It also was slightly expensive. 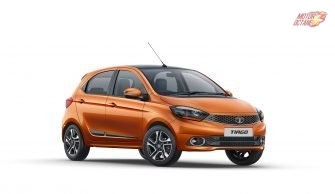 The 2017 Hyundai Grand i10 and Tata Tiago will be the major competitors of the New Maruti Celerio 2017. The Grand i10 has just got refreshed and there are more features on offer. 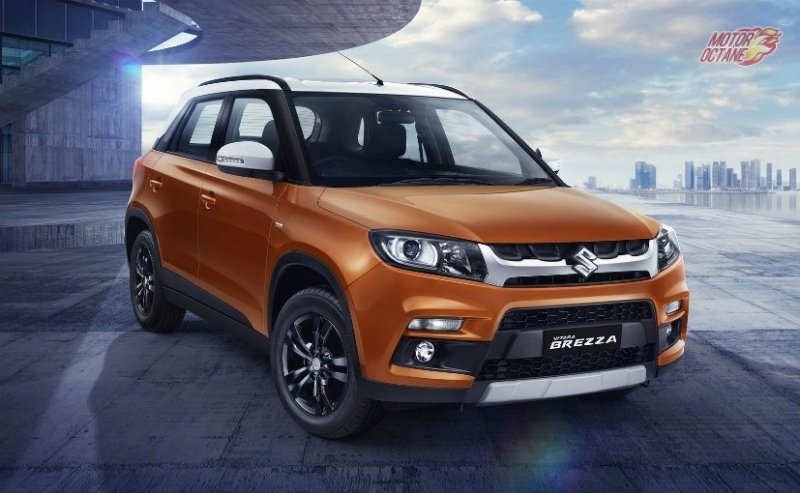 Maruti will try and counter this and offer identical features on the Celerio as well. 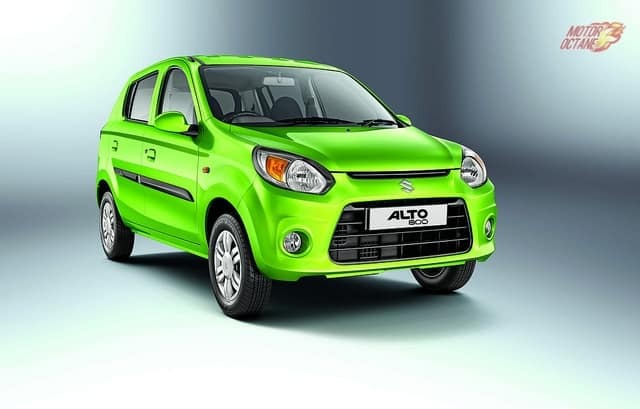 The Celerio has an advantage of offering AMT, which is a low cost automatic version. This will continue to be Celerio’s edge over its competiton. The New Maruti Celerio 2017 petrol will have an efficiency of 13km/l in the city, while on the highway it will be about 16km/l. The CNG will have an efficiency of 18km/kg on an average. 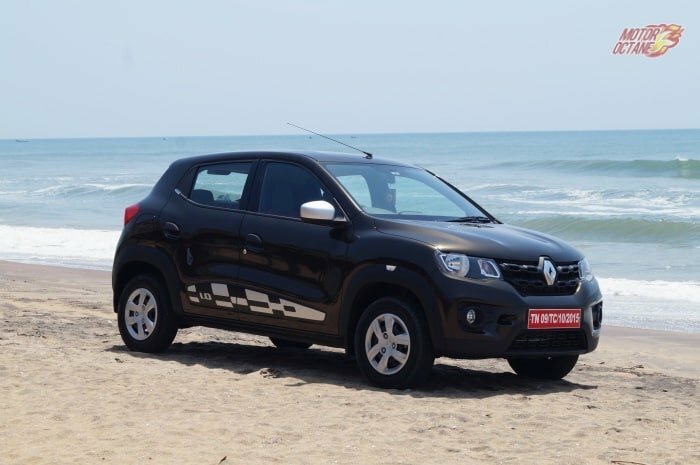 This is a frugal car and delivers good fuel efficiency, with in petrol and CNG variants. There will be two more colour options offered. These colors will be all new ones. New Maruti Celerio 2017 – Should you buy ? The Celerio is very a good option if you want to buy a practical hatchback, but something that is more modern and stylish than the Wagon R. The Celerio is also big on interior space and that has been ones of its USPs. The Maruti Celerio 2017 will receive some upgrades to the exterior and interior. This will make the car more attractive and also more competitive. Bosch is the leading manufacturer of many important automotive components. They are leading manufactures in many technologies like ABS and fuel injection. 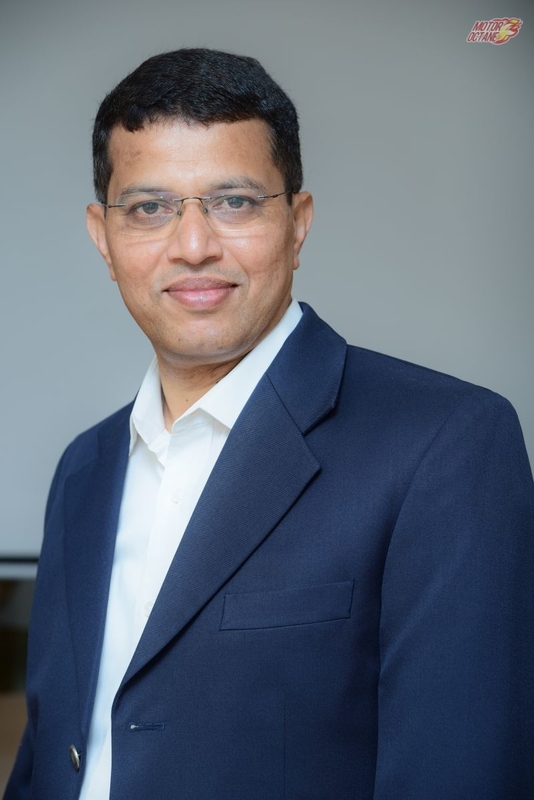 During the recent event – ‘Spirit Of The Ride’, we got to catch up with Bosch’s Head Of Two Wheeler Business, Mr. Prabhu Panduranga and asked him a few questions regarding the future of mobility and how Bosch is helping. MO: What is your take on ABS being made mandatory on bikes above 125cc? Bikes below 125cc will get CBS? Is it enough? PP: First of all, these two technologies are completely different. So ABS cannot be compared to CBS now. Can ABS be applied to the entire range of bikes on the market? We don’t think it can happen now. MO: Bosch supplies electric motors to various OEMs. Do you think for electric 2 wheelers, scooters getting these Bosch motors is the way forward before anything big happens? This question is specifically for India? PP: We believe that electrification is the way forward. But in what way? What kind of volume it remains to be seen. It’s all about market pull. MO: What is the next safety feature for India? We talked about Radar guided cruise control and proximity sensors coming on bikes today. Do you think all that will come to India? PP: We are talking about a 2 level safety structure. First is MSE, Motorcycle Stability Control. Next is forward collision warning or blind spot detection and adaptive cruise control. And the third thing is connected vehicles. Peer to Peer connection. And one more step is – E-Call. This system will allow the rider to be located in an event of an emergency or accident. MO: In the presentation, we saw the MySpin multimedia setup? What is that and will it come to India? PP: We can offer that. It basically mirrors the phone of the rider and also connects to the rider’s helmet. If a market emerges for this system, we will surely go for it as the technology is ready. MO: What kind of technologies have you been able to find in the 2 wheeler market that has worked on 4 wheelers as well? Or is it always the other way around, the four-wheeler technology is always adapted for 2 wheelers? PP: You are absolutely right, it’s always the four-wheeler market that gets everything first. Like ABS or EFI first came for cars and we adopted them for 2 wheelers. But while this adopting of tech happens, the conditions are different, like the ECU for a car will be inside a cabin whereas in our world there is no cabin. So the adoption is different. MO: Lastly, is there any kind of technology that Bosch has right now that can help curb emissions of old and existing vehicles? PP: Your question seems to be more about a retrofitting of the existing vehicle with a new kit. While conversion is possible it’s not practical. I’ll say, Bosch components are BS6 ready but the end to end transformation has to happen with OEMs making their parts BS6 compliant too. Honda Racing has announced its outlook for the coming year of racing. 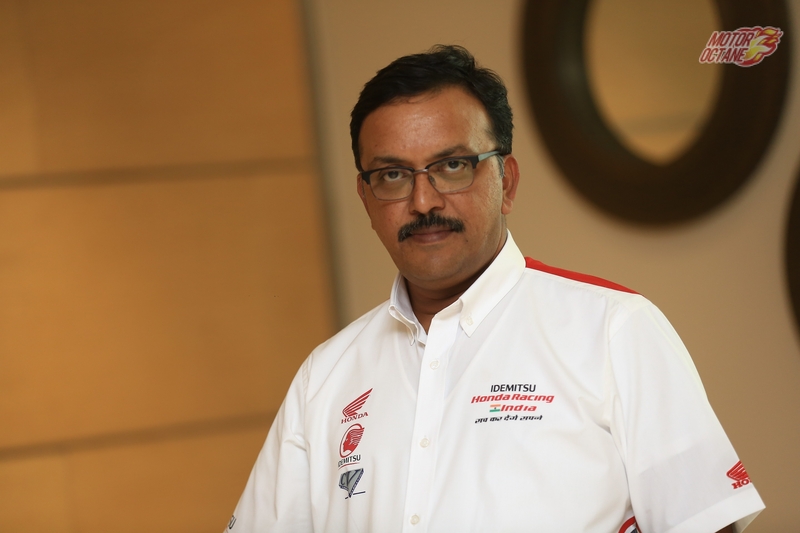 To know more about racing and its impact on India, we sat down with Mr Prabhu Nagaraj, Vice President – Honda Motorcycles & Scooters India Pvt. Ltd. Below is an enlightening conversation that we had regarding the general facts and developments of motorsports in India. MO: My first question for you does not pertain about Honda Racing, but about your broader look at motorsports in general in India. What are your thoughts? PN: Comparing it to the time when we got into motorsports and now, there is a huge difference. Motorsports is now picking up attention very strongly in all categories – motocross, supercross, rally racing and even track racing. The scenario is definitely changing but at the same time, there are challenges that are there for the sport to take a fast track. But those are mostly to do with importing parts and getting it’s not been easy in India at the same speed and in the same timeframe as others. With that said, I’m very confident that the policy changes that have enabled us to hold events easily now will also help in making sure that we will be able to overcome the present issues too. MO: When we think about the roadmap to MotoGP that is created by Honda and when we go to the grassroots level not everyone makes the cut! You lose some on the way. What is the success rate? For what kind of a racer is this roadmap the best? PN: In last one year when we decided to take up the new direction of developing the ‘Iconic rider’, I have seen a true focus and passion available across the country with riders. What was missing, was availability and accessibility to those riders. First, when they start young, their focus towards the sport is very important. If that continues through their adult life, those riders will go a long way. Likely to lose are the riders that want to test waters. Because they second guess their passion, technique and thus lose focus. Thus we have a pool of riders now. MO: Coming off the answer to the second question, start them young is what you said. How successful is that approach? Are young riders u for the job or you have to turn attention to more experienced and older riders to fill the gap? Are younger riders easier to work with? PN: Both yes and no to be frank. Even getting the good riders to match international levels is a challenge. The older rider’s growth path gets stunted because of the age at which they start Form more experienced Indian riders to match international levels would also be a challenge because of the infrastructure available in India, So if we catch them young it is better and they have more time to develop and we have more time to help them. If you see ARRC today, most of the riders in the 250cc category are 13 to 15-year-olds. Whether it’s Thai or Indonesia, and they are on a fast track. So the younger you are the more likely are you to get ahead in your career. MO: Talking about careers. What kind of a career does a rider expect to achieve? As a career graph goes what is a rider’s target? What do you tell riders who think they will go up to Moto2 or Moto3 at least? PN: One, their passion. So if that’s there, they can achieve that by going through the structured programs Honda Racing has in place. And like any other sport, motorsports provides a lot of career opportunities. Riders get involved in stuff like the development of new products, brand representation and many other things. They are definitely going to make a career. Riders who did not find success in their own racing days are now helping in developing and working closely with teams for other riders. A case in point is our Sharad Kumar. He has been working with domestic and even ARRC and is still in the same field. MO: So motorsports in India is a big deal now. 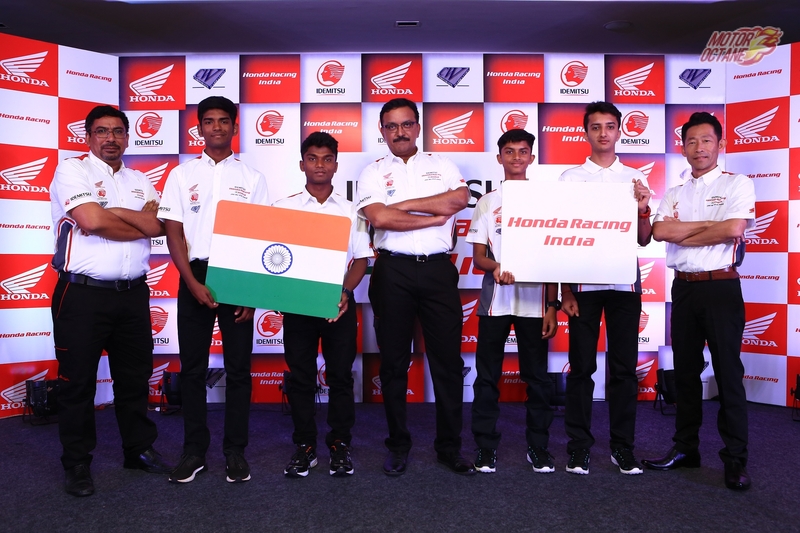 But does that mean what Honda Racing is developing in India for the track that same technology transfer will be also seen in the products made in India? An Indian racer helping the manufacturer’s Indian arm develop something. Will that happen? PN: See Viraat, right from when we started 7 years back, the racing technology has always made its way to our products here. It may not be the exact thing and will be a toned down version of the tech. Overall, our aim is to cultivate this racing culture that is part of our company’s DNA. So our R&D is helping the products on the road too. MO: What about women in racing? Is that also a part of the teams focus? PN: Definitely yes. The Federation is also putting a lot of pressure on this point. In fact when we started first to introduce this category. Earlier there was less enthusiasm. And when we talk about developing a rider, we don’t talk about a boy or a girl. If the girl is passionate, she is ready for the track, we are ready to start developing her. This structure does not differentiate. MO: One last question, when do you think that the motorsports ecosystem in India will be fully developed and will be sustainable? PN: For Honda Racing this is the beginning. And we will be developing and helping the ecosystem in India too. 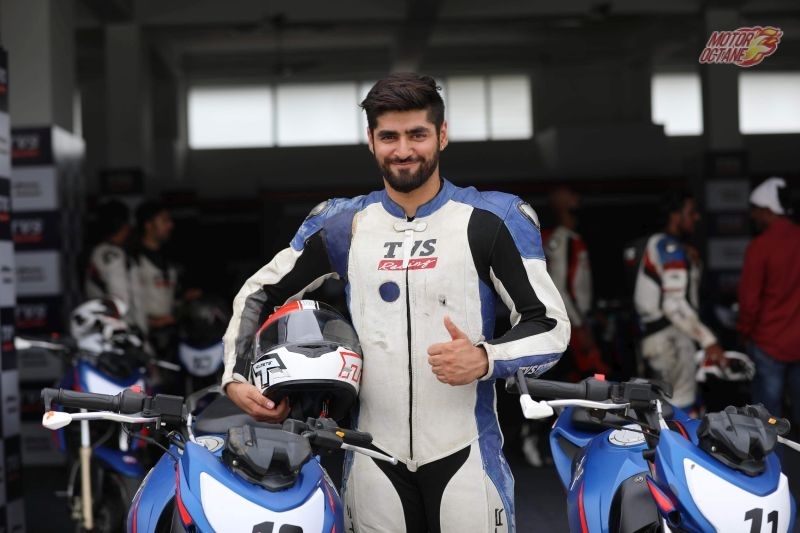 At least I’m happy that in the past 10 years, we have been able to make a lot of changes and progressively develop the 2 wheeler racing in India. We have had a huge hand in that. We have reached a peak where the attitude, the discipline etc. have come up to international levels. 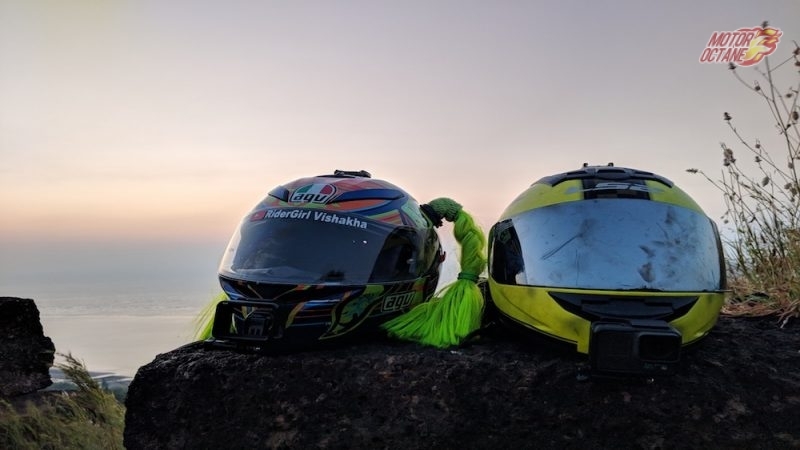 And as the fun riding culture is improving and India is pegged to become the next great destination for performance oriented companies and also other motorsports organisations. An apocalypse is an event that will come without warning. Being prepared is going to be your prerogative. Below is a list of the best cars, bikes and also a TANK that will be helpful when the zombies descend. 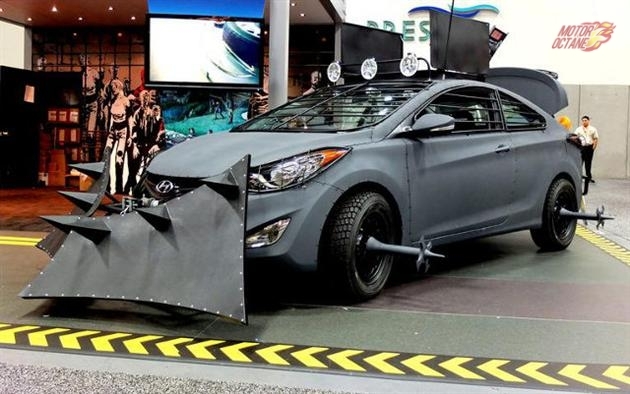 Apocalypse or not, this is the kind of car that is just suitable for any occasion. Grocery shopping, school run, cross country runs, flexing at a party and if the need arises, a road warrior that outruns zombies or runs them over with ease. If the Daryl and Rick from The Walking Dead can rock a Hyundai during the zombie invasion, so can we. The car is very impressive when it comes to the additional features it gets. 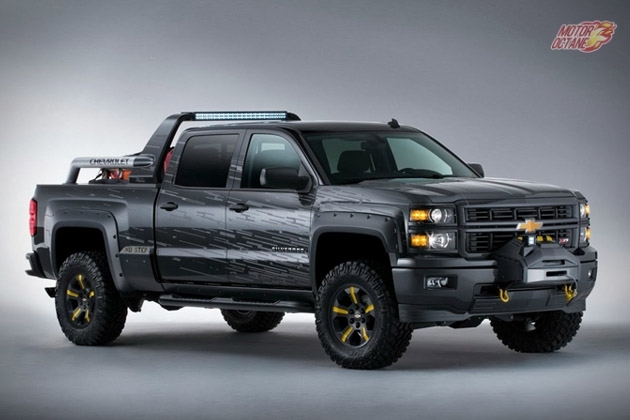 The exterior gets a Staked Zombie Plow, Armored windows, Armored headlights and taillights, Smoked headlights and taillights, Reinforced body panels, Rear bash bar, Wheel spikes, Adjustable front light bar, Escape Hatch, Winch, All-Terrain Tires, Forged Wheels, Upgraded lifted Suspension. The interior comprises of custom riveted sheet metal rear interior panels, Food & Supply storage compartments, 6×8 Net Cannon with a rear-view camera, Co-pilot controlled switch box with gauges, Master Kill Switch, Net Cannon Control, Lighting Control, Tilt front floodlights, Pan rear flood lights. The Weapons: Katana Sword, Baseball Bat and a machete. It also gets a GPS, CB Radio, Nitrous System (120 hp/shot), Adjustable rear trunk flood lights and custom front seats with embroidery. Again, enclosed cars and trucks are great, but 2 wheelers serve a vital role in your survival. 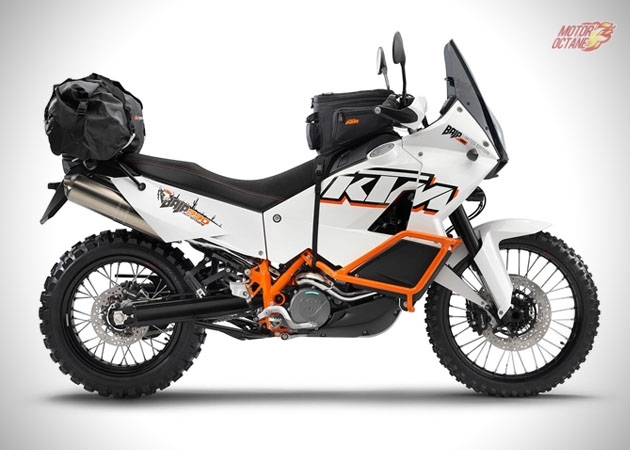 There are few motorcycles that perform quite like this bad boy from KTM. Crowned the most off road capable travel enduro in the world, the 990 Adventure Baja has been outfitted with everything you need from suspension to power plant to ensure that you can transition from the asphalt to the dirt roads. There’s a slim chance anyone will be keeping up with road maintenance after the virus spreads, and this V-Twin powered machine will be able to tackle any beaten road you can throw at it. 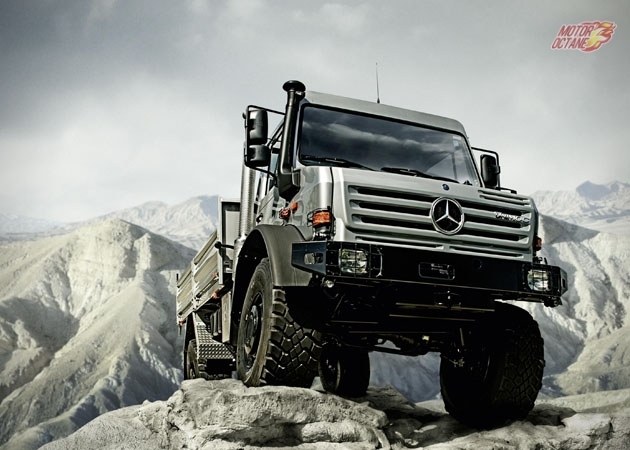 The folks at Benz said it best when they said the monster of a vehicle known as the Unimog offers “absolute off-road supremacy.” You can take Mercedes’ word for it, or you can research the 10 different models that were designed for disaster emergencies in the harshest conditions. This could be a bit impractical as your only means of transportation, but it could be a huge asset in your stash of vehicles. 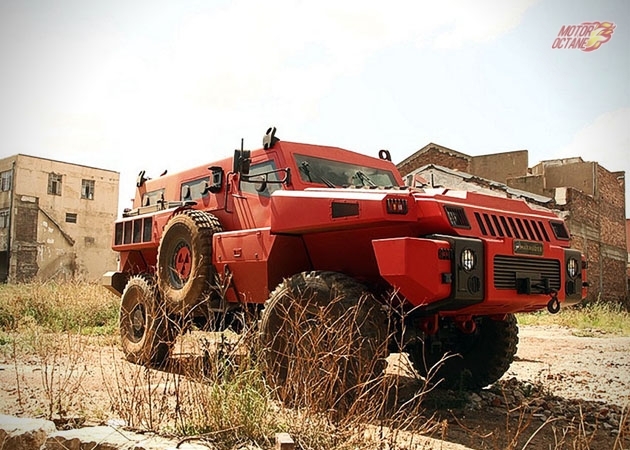 Hands down the most badass vehicle on the planet, the Marauder will withstand any test you throw at it. It was actually built for the South African army. The armored vehicle can destroy everything in its path. Features include long-range fuel tanks, the ability to survive TNT explosions, ultra-modern climate control system, run flat tire that can be pierced by 12.7mm bullets, anti-blast seats, and so much more. The vehicle has a fording depth of half the vehicle, meaning it can swim too. Reaching speeds of 120 kilometers per hour, this thing is far from a slouch. Let’s insert a practical choice. Chevy makes a solid truck. And this one is made with one intention in mind – Be Badass. Although the zombie outbreak was “unforeseen,” we can certainly classify it as an emergency. The fully capable 4×4 features a 5.3 liter EcoTec3 V8 engine with plenty of power (355 ponies to be exact) along with lower body armor, raised suspension, solar power pack, generator, military First Aid Kit, gas masks, a crate of food filled with Top Ramen. 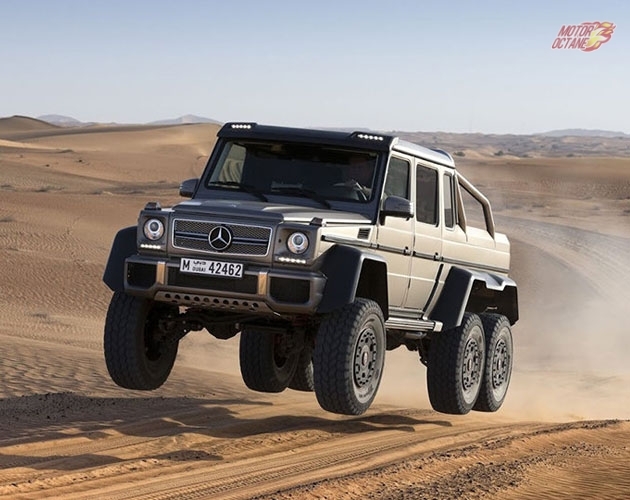 This is the type of vehicle that the citizens of Dubai will mostly use in the event of a zombie apocalypse. First of all, EV2 is short for “Extreme Vehicle 2”. The tank gives you everything you could ever ask for in a post-apocalyptic world. 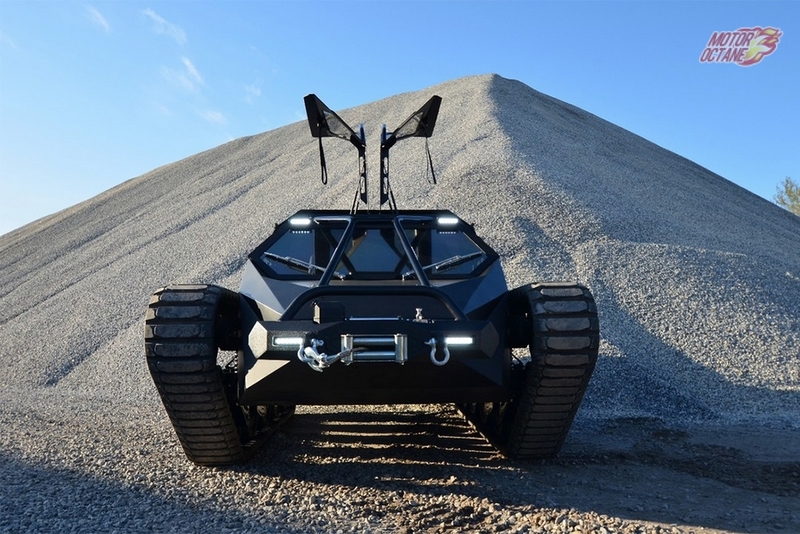 Crowned the fastest dual tracked vehicle ever made, the EV2 is equipped with a 600 horsepower diesel engine, complete with a set of treads that were designed to annihilate anything they come in contact with. Stealthy black paint job dons the exterior with an interior that’s actually quite luxurious – for a zombie killing super tank. And this isn’t just some concept tank either. The team says they will be selling the Ripsaw for a price tag well into the hundred thousand (depending on options) and will take approximately 6 months to build out. Better start saving now. This is the author’s personal choice. The Bronco is the definitive SUV. A big V8, a square body and I would personally rock this if the dead ever decide to rise up and eat the living. 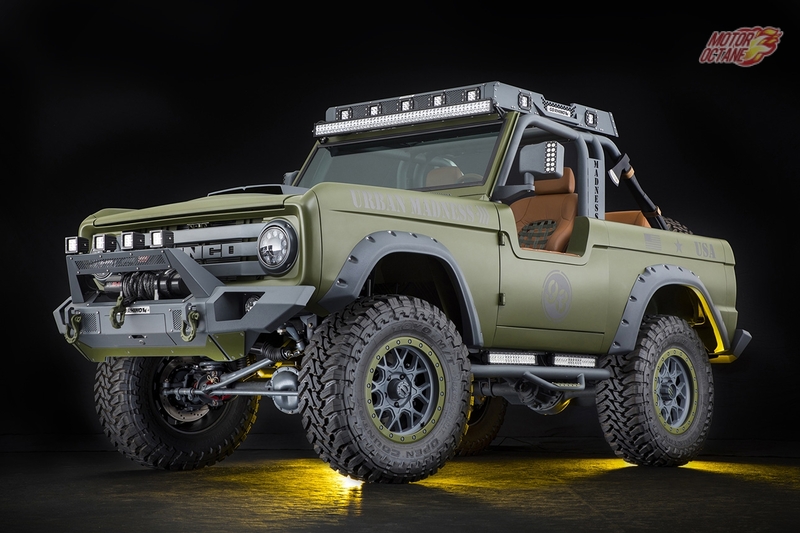 This absurdly cool SUV, which is powered by a 302-cubic-inch small block V8, features a custom one-off roll cage, comprehensive body-wide LED lighting, chopped down doors, a handcrafted grille, and an Army-inspired paint job. And that’s just the beginning – it’s also affixed with a WARN winch, Go Rhino bumpers and a roof rack. It even comes with an ‘AXE’ to behead zombies at arm’s length. The name – Urban Madness properly suits a car which will face zombies. Fany a proper American road trip? 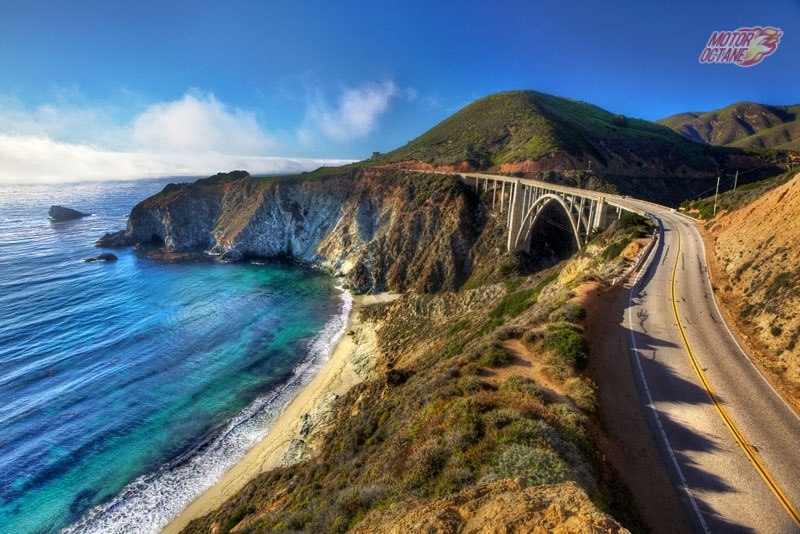 State Route 1 is a beautiful highway that runs along most of the Pacific coastline of the U.S. state of California. The highway is famous for running along some of the most beautiful coastlines in the USA, leading to its designation as an All-American Road. It scenic and properly pretty. 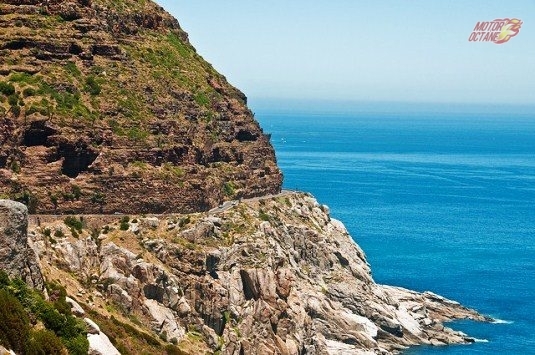 Chapman’s Peak Drive was hacked in to the near-vertical face of mountain on the western side of the Cape Peninsula, 15kms from Cape Town. Running from Noordhoek to Hout Bay, the twisting 9kms drive has 114 curves and gives you spectacular 180° views of the Atlantic coastline. Travel the Himalayas on four wheels or two by driving all 479kms of northern India’s Leh-Manali Highway. Its highest elevation is Tanglang La mountain pass at 5328m, and on average you’re two to three miles above sea level at all times on the route. The drive takes a day to complete and connects Leh in Ladakh. It’s only open from May to October, when the Indian army clears snow off the dirt gravel road. 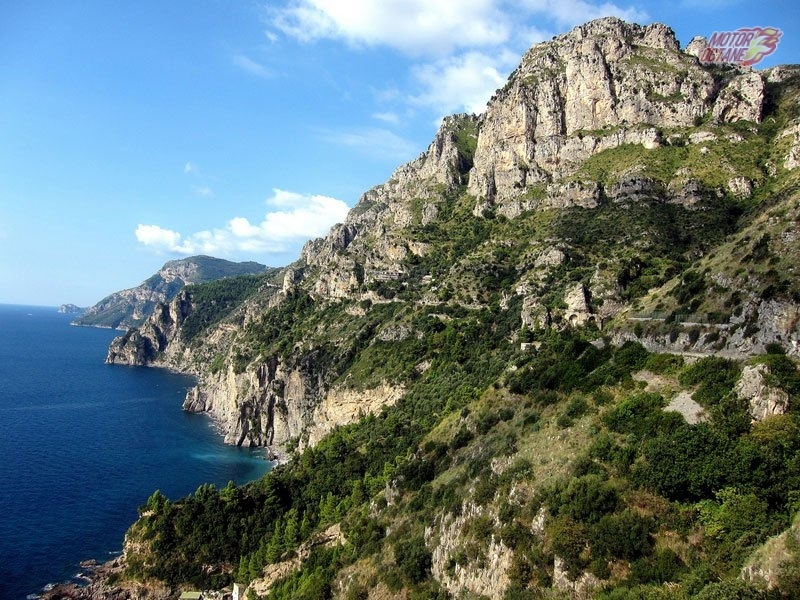 The Amalfi Coast is widely considered Italy’s most scenic stretch of coastline, a landscape of towering bluffs, pastel-hued villages terraced into hillsides and luxuriant gardens over turquoise waters and green-swathed mountains. Deemed by UNESCO “an outstanding example of a Mediterranean landscape,” the coast was awarded a coveted spot on the World Heritage list in 1997. The Amalfi Coast lies along the southern flanks of the Sorrento Peninsula, a cliff-edged promontory that wanders out from the mainland at the southern end of the Bay of Naples. 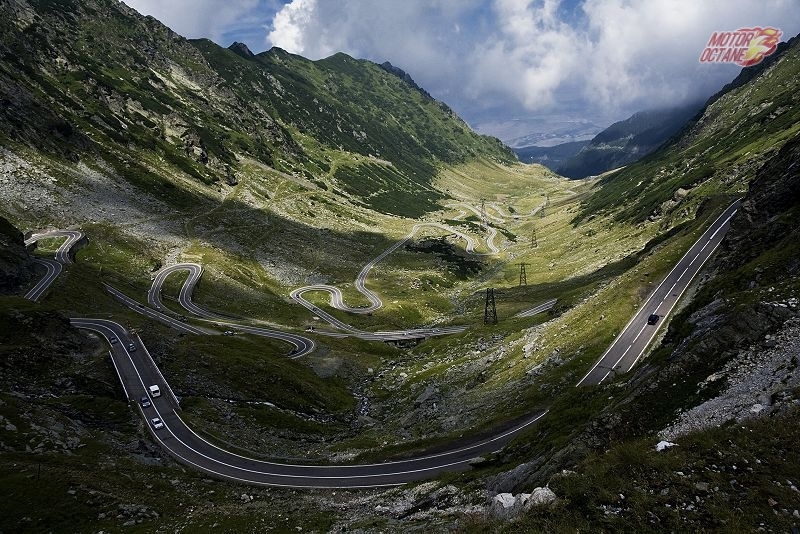 Called “the best road in the world”, Transfăgărășan runs for 90km across the Southern Carpathian Mountains, between highest and second-highest peaks Moldoveanu and Negoiu. A winding route of sharp descents, S-curves and hairpin turns, the road climbs to 2,034 metres altitude at its highest point. It also passes Vlad the Impaler’s castle, Poienari fortress in the southern section near village Arefu. The Stelvio Pass is another place of pilgrimage for petrolheads. At an elevation of 2757m this is the highest paved pass in the Eastern Alps. 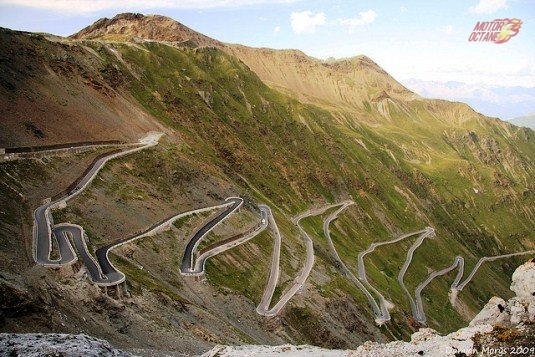 The road has a heart-clutching 48 hairpin turns, and connects the Valtellina valley with the mid Venosta valley and Meran. Taller than the Eiffel Tower, Millau Viaduct is the world’s highest bridge. As well as being an engineering masterpiece, It is also very beautiful like the French would want it. 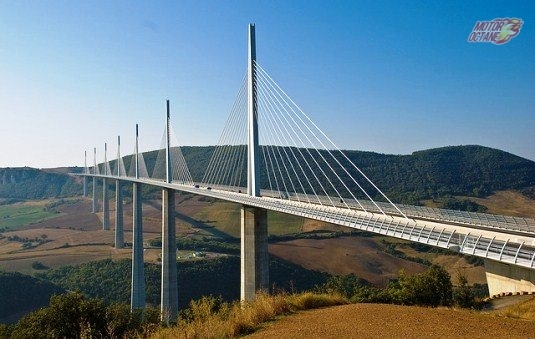 It opened in 2004 and was built across the Tarn valley to alleviate holiday traffic between France and Spain. 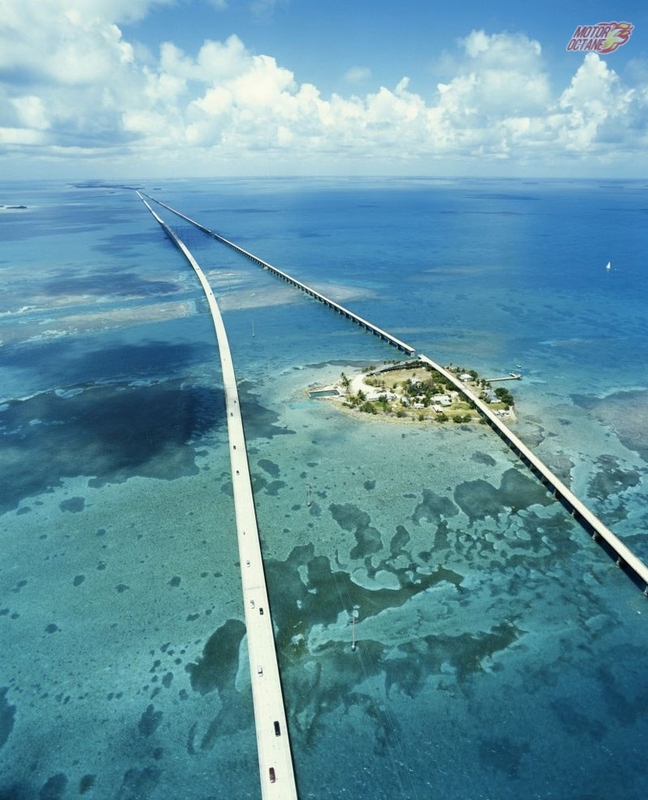 The bridge is 2460 metres long and is found between from Paris to Montpellier. 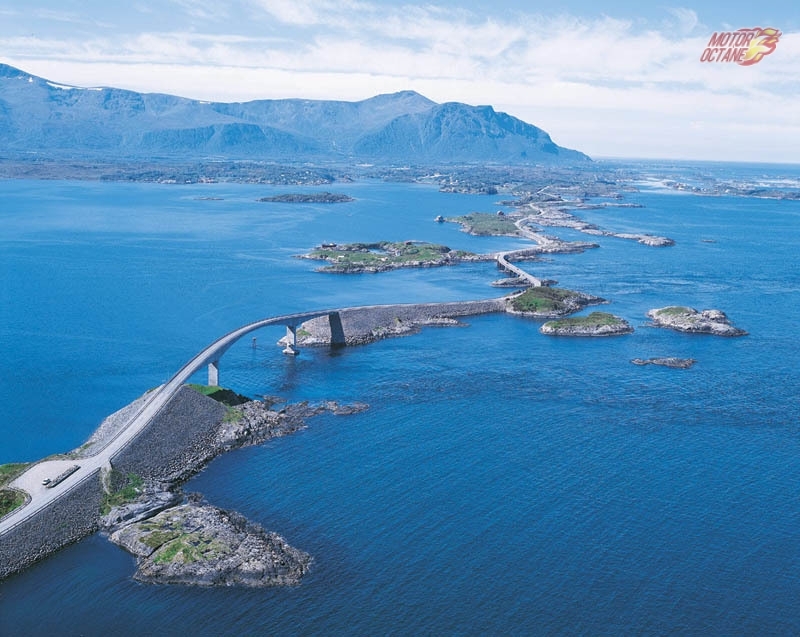 Do you know any great driving roads? Share them with us in the comments below. 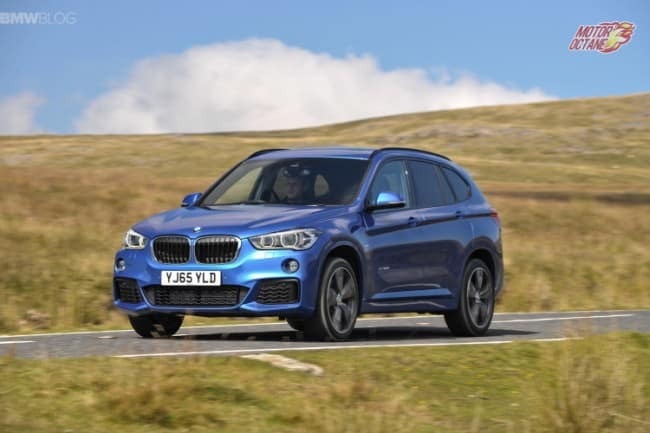 The passing of the baton from the original BMW X1 to the next-generation model encapsulates a far-reaching maturing process clearly expressed in the design of both the exterior and the interior. 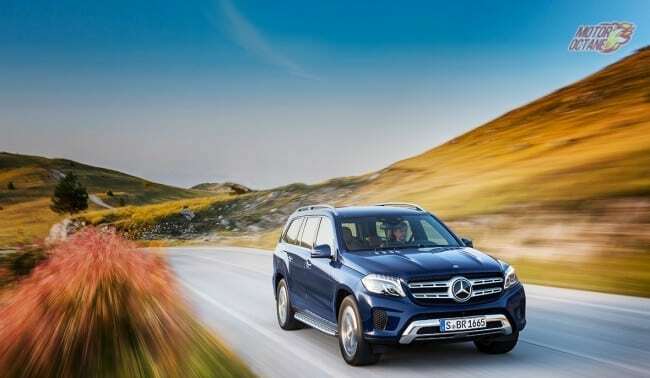 The car now boasts robust proportions, powerfully sculpted surfaces and design features typical of an SUV. The faux station wagon look has long gone. 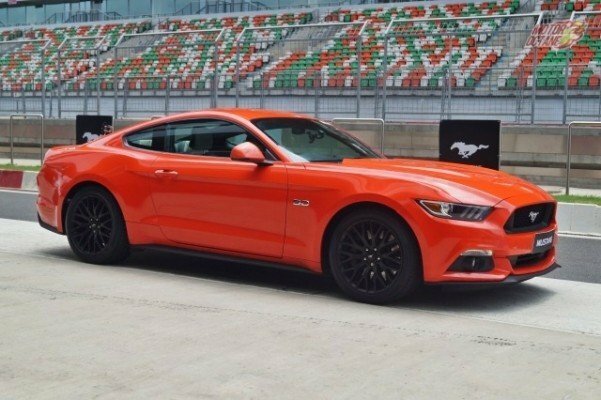 After 50 years of harking back to their original design, Ford made the new generation Mustang. It was completely modern with a throwback to the old car in some ways. Several key design features define the new Ford Mustang, including a low roof height and wide stance. Sleek profile enabled by the steeply sloped windshield and rear glass. Three-dimensional, tri-bar taillamps. Contemporary execution of the iconic car’s signature trapezoidal grille and shark-bite front fascia. It is one of the meanest and best-looking cars gracing our roads today. If you don’t dig the German offerings. This is the car for you. It’s not boring or a spec-sheet tickbox product. It is the most engaging(Triggered BMW 3 Series fans will refuse) luxury sporsts sedan out there. The facelift in 2016 with the revised headlights, taillights and bumpers really made the car more crisper and a clean look. 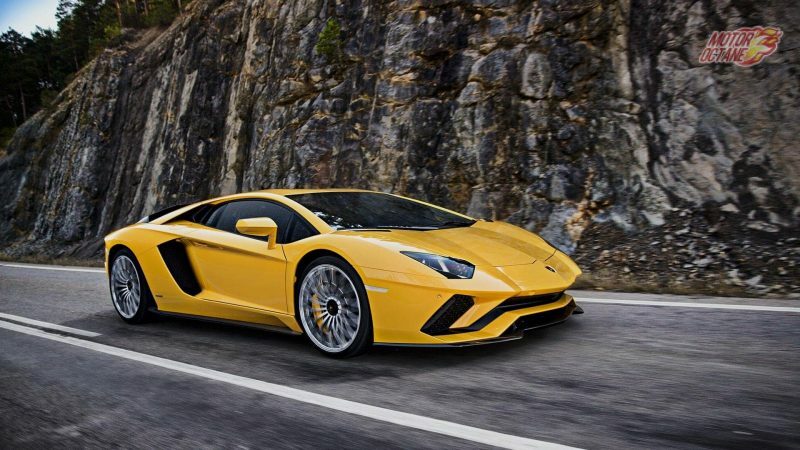 The design of the new Lamborghini Aventador S clearly indicates the new Aventador generation. The Aventador S features a number of exterior developments, particularly in front and rear, while its profile remains clearly an Aventador.A more aggressive nose and longer front splitter redirect airflow for better aerodynamic efficiency. The rear of the Lamborghini Aventador S is dominated by a black diffuser, available on request in carbon fiber. Three single exhaust outlets exit through the rear bumper. The active rear wing is movable in three positions depending on speed and drive select mode, and optimizes the car’s improved overall balance. 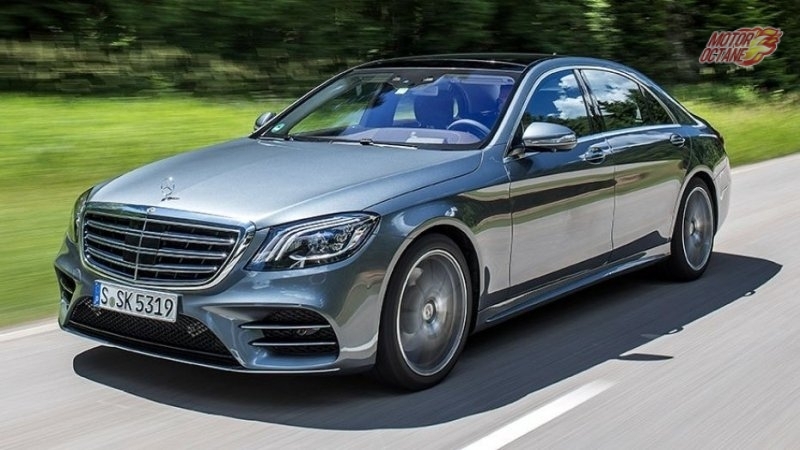 The final word in status and sophestication is the S-Class. The upgraded front with extensive chrome trim underscores the exceptional status of the Mercedes-Maybach. Also new is the Maybach logotype between the louvres of the radiator grille on the driver’s side. In conjunction with the new MULTIBEAM LED headlamps, the S-Class features three distinctive torches of light as an exclusive design element. 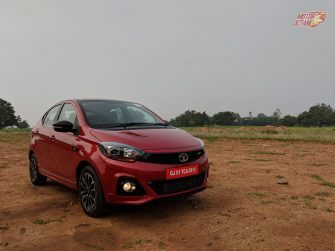 The front bumper with pronounced air intakes and sporty looks is also new.The new LED lamps with crystal-look tail lamps stand out at the rear. They look like jewels and ensure a characteristic design day and night. A tail lamp light show that plays when the vehicle is unlocked and locked, as well as three horizontal pairs of fibre optics are also new. All models are fitted with a redesigned lower bumper section with integrated visible tailpipe trim. The tailpipes are framed by a chrome trim element, which spans the entire width of the vehicle. Seven new light-alloy wheels with diameters between 17 and 20 inches are available as standard or options. The car loved by many and according to most the best Value For Money option out there. 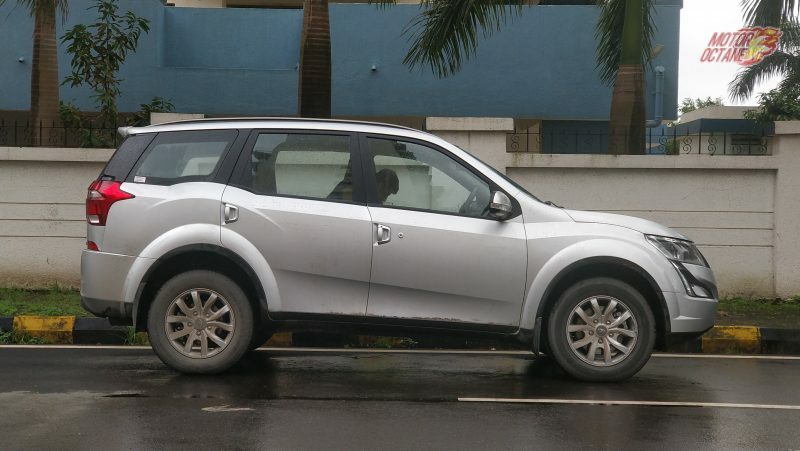 The XUV500 got a much-needed facelift last year and the car was loved in every comparison test we did. The highlights included a new interior, redesigned bumpers, headlights and taillights. The volume churner for Honda is now on its last legs. But the last facelift it got has really made the car something else. 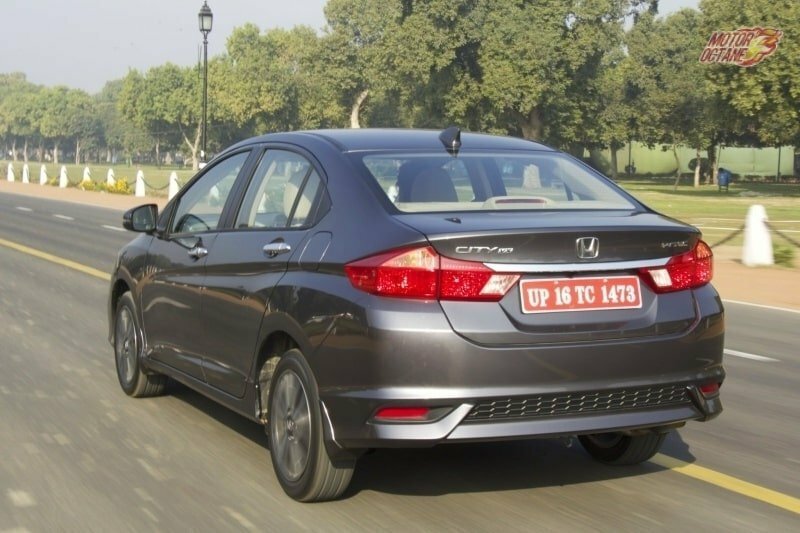 Up front, the Honda City facelift received a redesigned LED headlamp unit, a new grille and a new bumper too. The sedan also gets LED tail lights, boot lid-mounted spoiler with integrated LED high mount stop lamp, and new diamond cut 16-inch alloy wheels. The car, along with the Ciaz, Yaris, Vento and Rapid looks the best of the lot. If you find the Volkswagen Vento boring, this is the car for you. 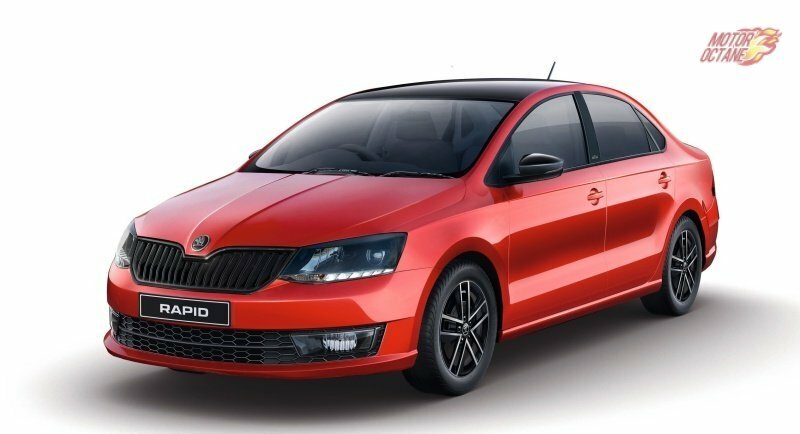 Skoda gave the Rapid a great update. The new sharper bumper that gets a large honeycomb air intake compliments it and fog lamps on either side. The rear of the car also gets some minor changes. These include a revised bumper and addition of chrome strip on the boot lid. The top-end variant of the car also gets LED daytime running lights as a part of the dual barrel headlamp. Although the side profile has remained almost unchanged, the overall design does make the car look younger and fresher. Not only did these cars get new variants and they also got hotter JTP versions. 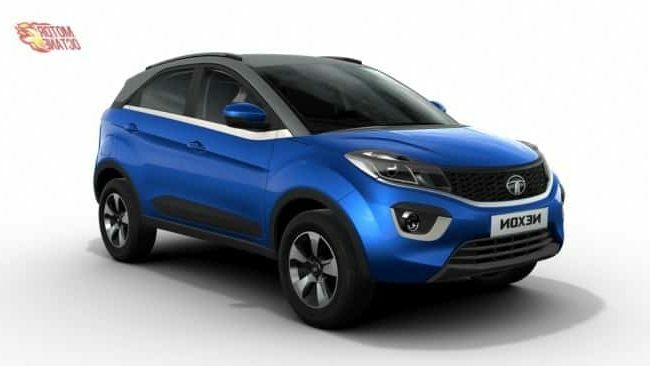 Tata has done nothing but kept improving on these cars. 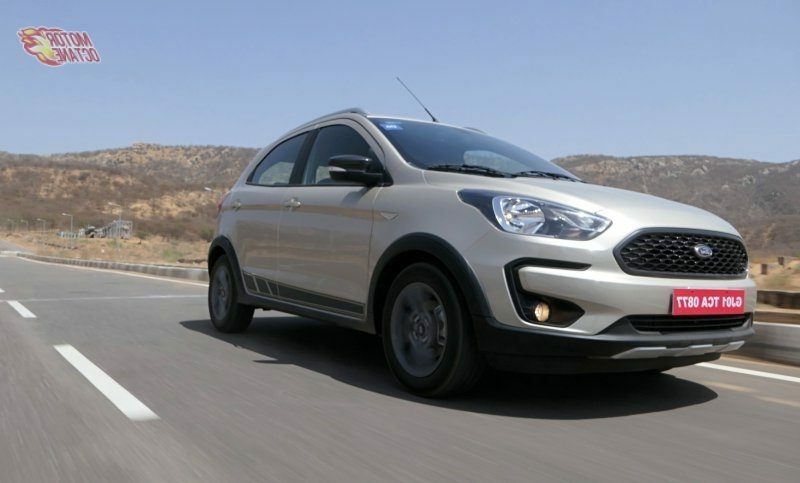 The new interiors sport a touchscreen and the exteriors get revised bumpers and new smoked headlamps and taillamps. The Tata twins are really cool in all their avatars. The mild facelift that made this car fresh enough for some more time. 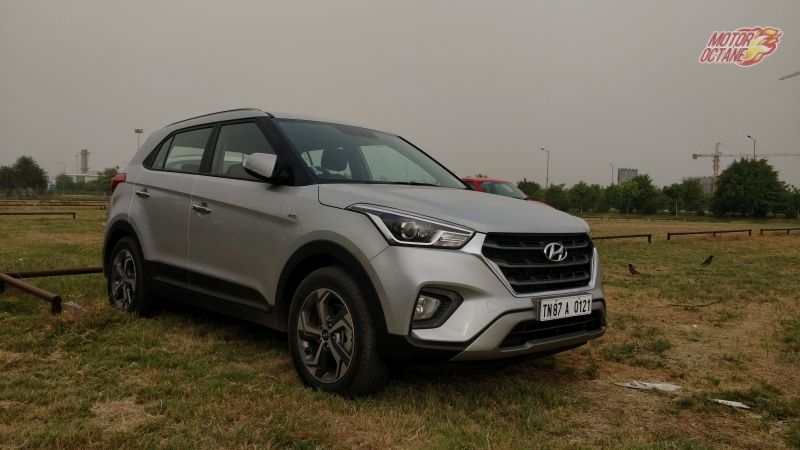 The Hyundai Creta is a crowd favorite. 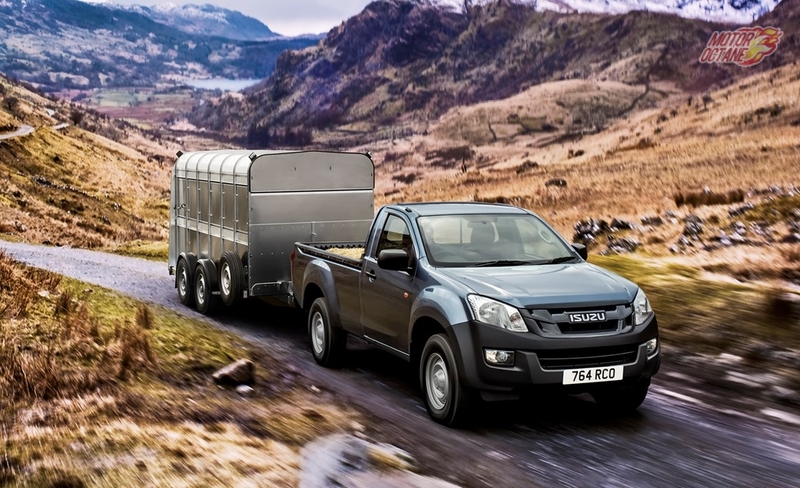 The outsells sub-four meter SUVs. Last year the car got a new variant and many new features like a sunroof and exteriors included new bumpers, alloy wheels and headlamps. Are there any other cars that you think should make this list? Which segment of cars do you like best at the moment? Let us know in the comments section below. 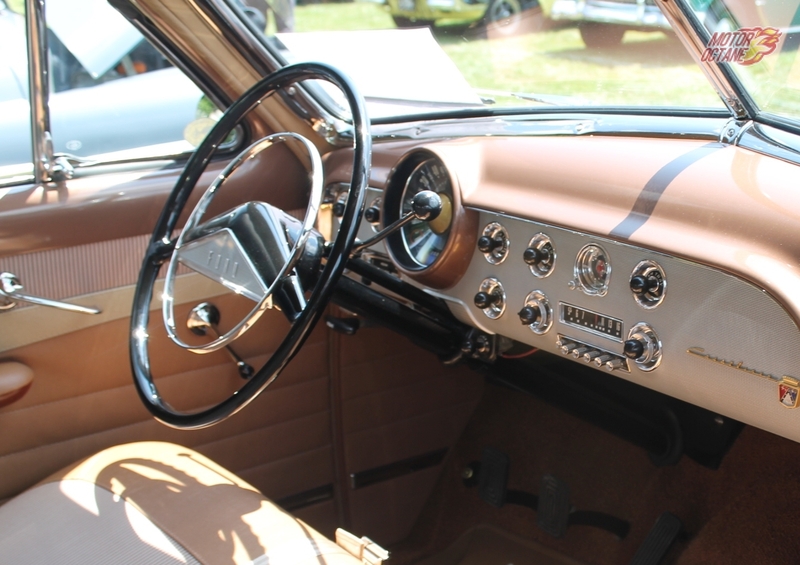 Old Fiats, Ambassadors and many old cars used to have column shifters. It required technique and a different style. 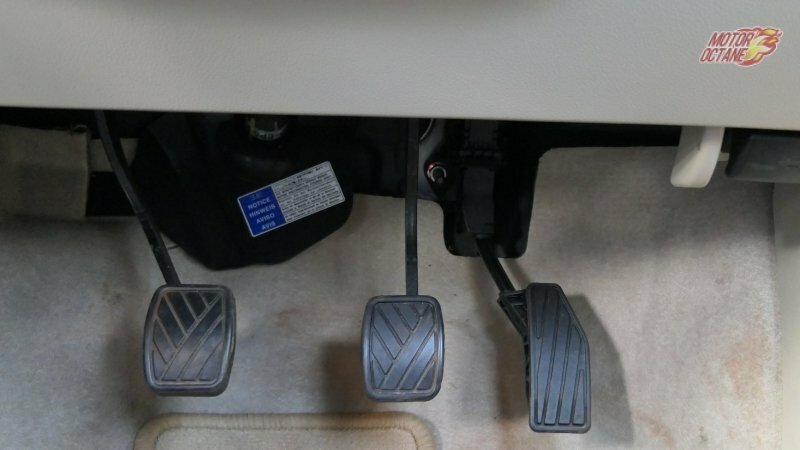 With time this feature of the car has now given way to the tradition on-the-floor setup and has remained since. There is nothing quite like promoting a bad habit by providing an ashtray and cigarette lighter as a standard feature in a customers vehicle. This is now being dealt with by offering the feature as a special package or an optional extra. 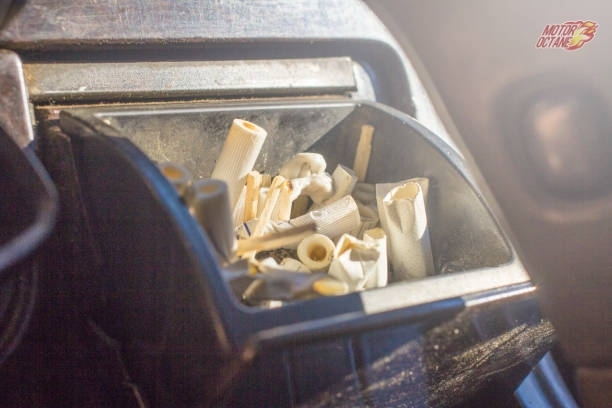 In many cities and countries, smoking is banned in Ubers and Taxis or cars with kids. This was the coolest moving exterior feature of a car before the active aero and adjustable spoiler made us happy again. This feature was not banned or made illegal. It was a cause of concern for pedestrian safety and had to go. Will they ever make a comeback? No. Do we need them? Hell yea! Most of us reading this would be old enough to remember that the cars we sat in when we were kids had weird music players. Infotainment and touchscreens have come a really long way now. 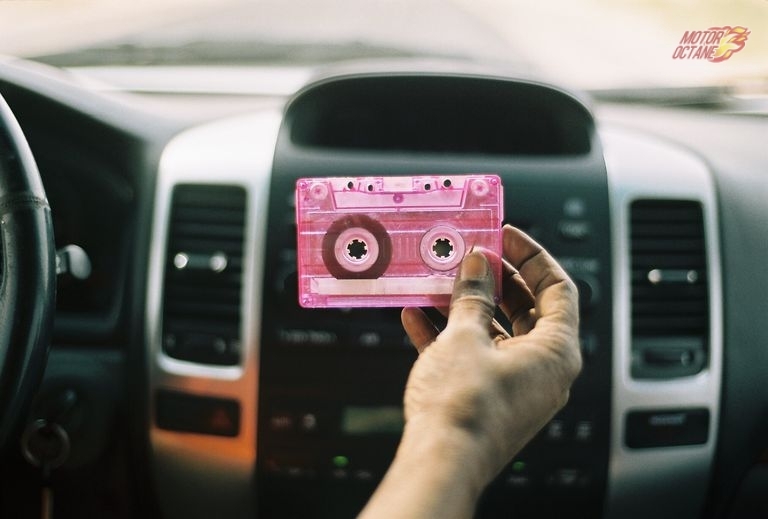 Earlier a Cassette player would be in place and your glove box or storage would be full of cassette box. Ah, the old times. In the past cars or as we will now call them – ‘Vintage Cars’ had a particularly cool and useful feature that were side opening vents. 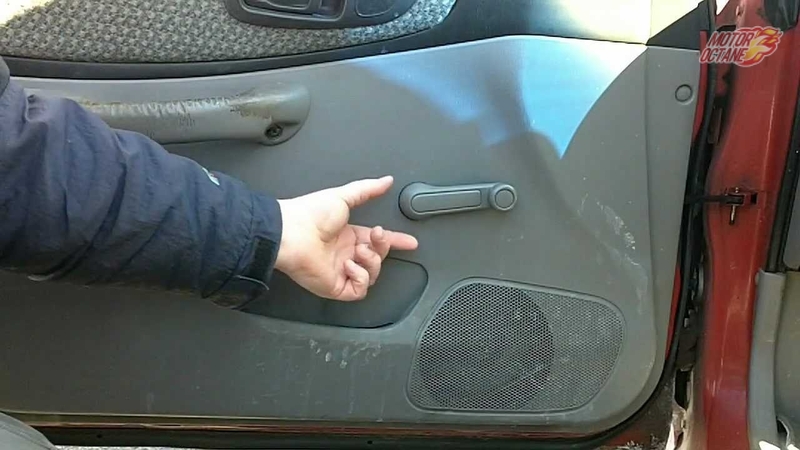 On hot days or in the springtime these glass vents or quarter window vents could be opened to let a cool draft in and it could be set accordingly so that the air did not become turbulent and ruin your hairstyle. Do you know any more of these features? Do let us know in the comments section below. Cars have always played a defining role in a film. They can be shown as a mode of transportation, some can be shown as a sign to define wealth and in some scenarios in a song or chase sequence to make the movie interesting. 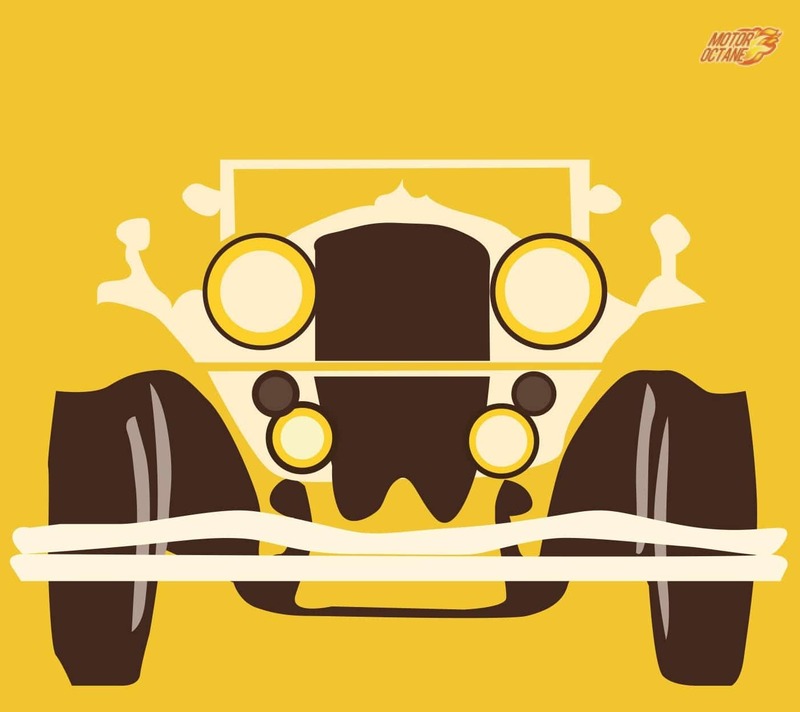 In modern times the use of the car in Bollywood movies has increased and in some cases, it has been done tastefully and in other not that much. In the olden days, with no help of the CGI, modern safety tech and stunt coordination the cars were more real and sometimes in an uncontrolled environment where the actor had to act while driving. The cars from this period were cool too. You will be surprised by the marquees and brands that were plying on the Indian roads in the early days after Independence. 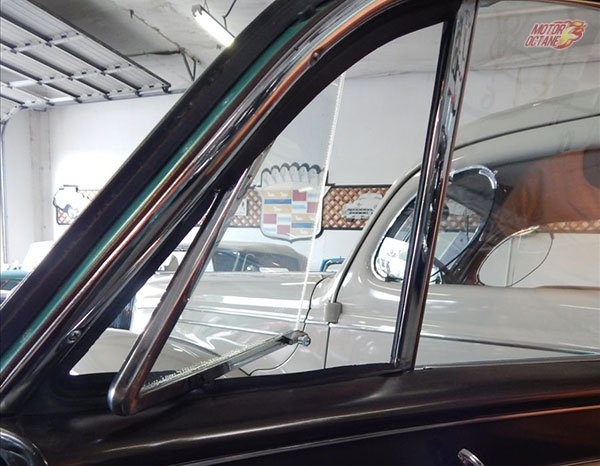 The car was used in the 1967 Dev Anand movie ‘Jewel Thief’ starring the actress, Tanuja. The Bel Air convertible was featured in the popular song, ‘Yeh dil na hota bechara’. 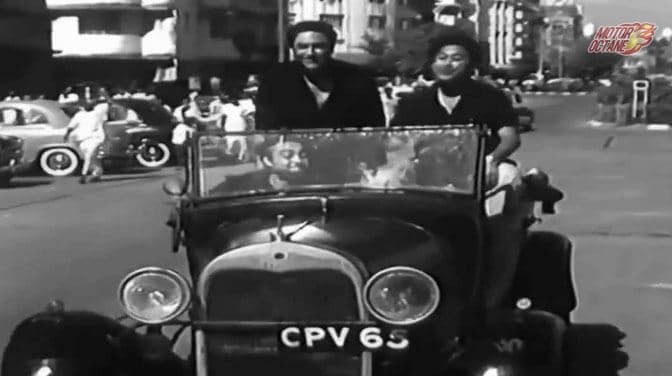 The movie ‘Chalti Ka Nam Gaddi’ had a hit cast with Ashok Kumar, Kishore Kumar and Madhubala. The car chosen for the film was a Ford Model A and was lovingly called ‘Champion’ by the 3 brothers in the film. The 1978 movie Trishul had some really cool cars. 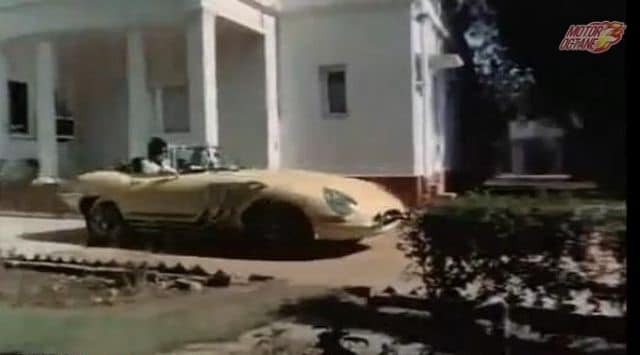 In the span of a few scenes, Bachchan hops between a Chevy Impala convertible and what is indisputably the most gorgeous car of the 20th century: a Jaguar E-Type, modded to include exposed supercharged pipes along the sides. Used in the movie ‘Aradhna’, the ‘Willys Jeep CJ3B was an iconic vehicle during the times. 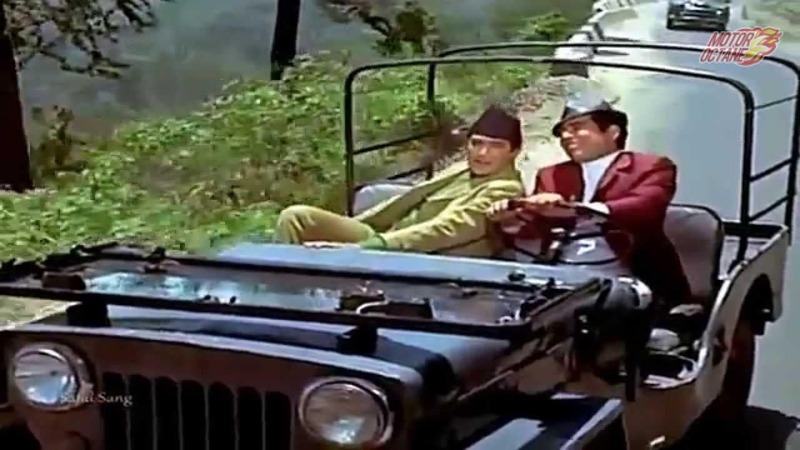 Starring ‘Rajesh Khanna’ in the iconic song ‘mere sapnoki rani’, he is seen in a Willys Jeep CJ3B. I want to end this list with a car that the youth of today can at least remember or relate to. Farhan Akhtar’s debut film as director, ‘Dil Chahta Hai’ showed us road trip from Mumbai to Goa in an open top Mercedes Benz 300 SL convertible. The road trip scene showed the newly made Mumbai Pune expressway and a race between a train and the big Merc. 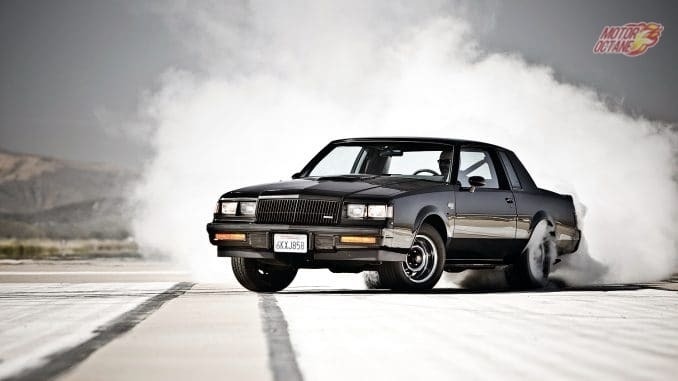 Are there any cool cars that you remember from your childhood that should make the list? Let us know in the comments below. One of the most iconic cars from the first movie. The car that we will always associate Dominic Torreto with. The car that supposedly made 900 bhp to the wheels and pulled off burnout wheelies. This car was seen first in a drag race with Brian O’Connor’s Supra and then in the 4th and 5th film. 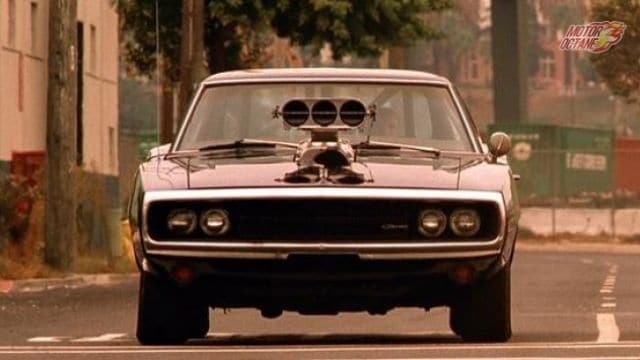 This car also upped the cool factor for muscle cars in the movies. This is the car that came in the second movie where imports were shaming American muscle. 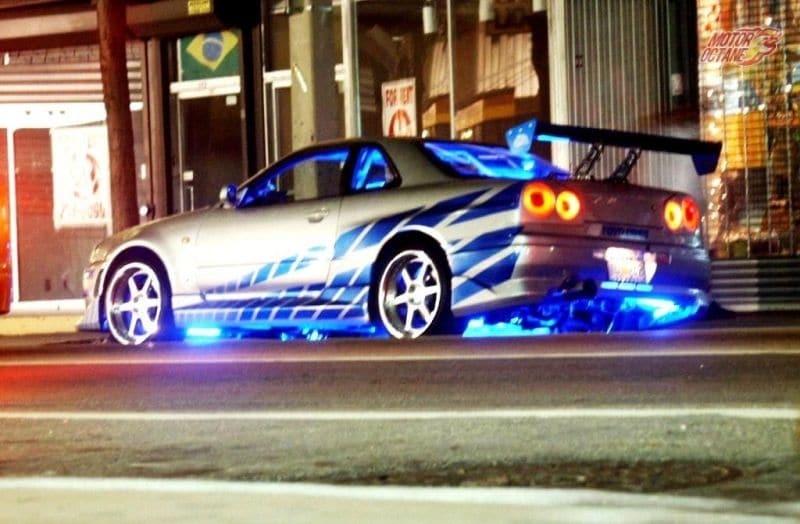 The R34 GTR not only enters a midnight race and wins but also jumps a bridge in the process. The car was also the part of the famous question asked by Brain in the 4th film to an FBI officer – “Gallo12” or “Gallo 24”. Hate it or Love it! This Mustang was the definition of – ‘Built Not Brought’. The car was the highlight of the movie with the final drift race down the mountain the Drift King in his Nissan 350Z. The car was being powered by the RB26 inline-six engine from a Nissan GTR. The noise of the twin turbo high revving engine sounded wicked and weird to some coming out of the back of a classic Mustang. In the end, this was a very unique build. 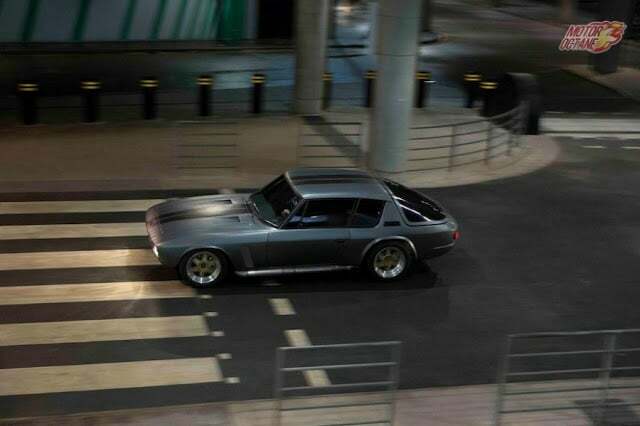 One of the most charming muscle cars of the series. This car stood out like a prize fighter at a boxing ring. Finished in matt black with the car was ultimately destroyed by Dom who crashed it to take out the baddie in the end. The car that was not robbed or built by the crew but was bought at an expensive auction in London by Ludacris. The Charger Daytona was famous for NASCAR wins where it was so good that it was actually banned in the end. 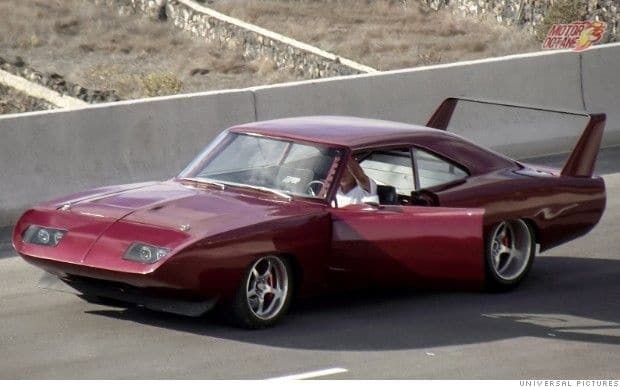 The car in the film was actually a regular charger made to look like a Daytona because the film director thought the original one with the long nose looked very ugly. Weird but true. The car was seen in the sixth move like the above Daytona and both of them raced each other on the streets of London. The car in the movie was driven by Letty who did not remember anything but still had a British sports car with a Chrysler V8 shoved in it. This car really did not get a lot of screen time but was cool. It was supposed to be the car on which Dom and Brian get away but when their robbing buddies turned on them the car had to be jumped off a cliff into a lake. Still a very cool car nonetheless. 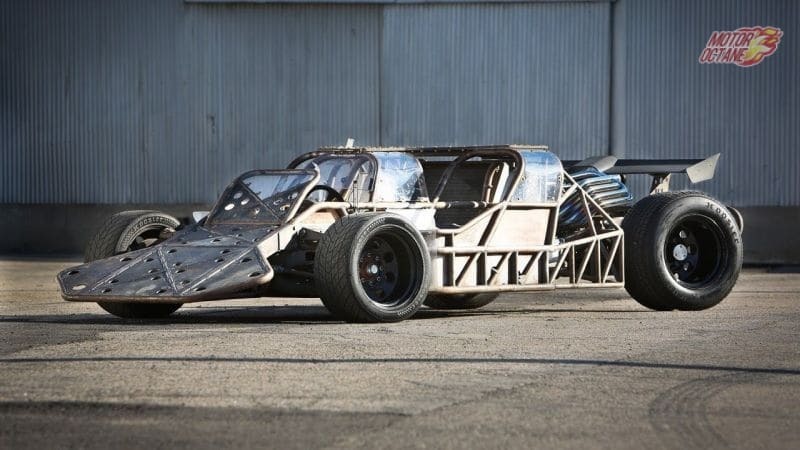 F1 meets Mad Max. These ramp cars are seen in the sixth installment of the Fast and Furious franchise. The cars are the ultimate track/traffic vehicle’s. Somebody is not moving over? Flip them off the road. These cars ran circles around the stock BMW M5s provided by the Rock to Dom’s crew and ended up creating a whole lot of havoc. 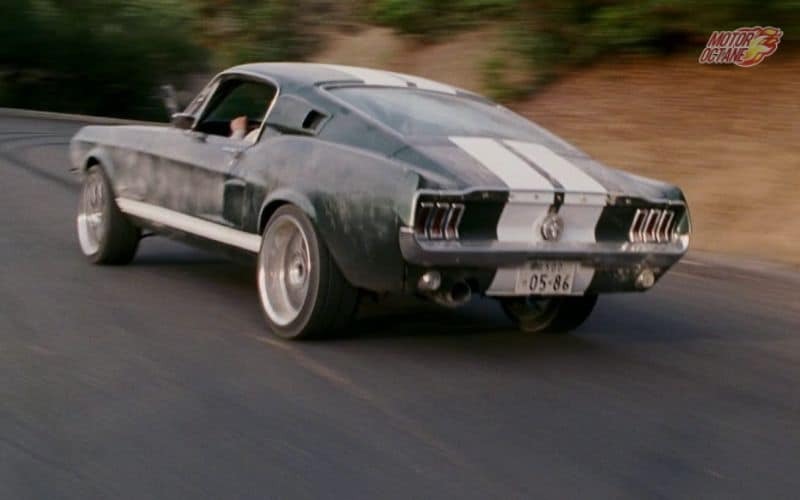 The car in which Brian started and ended his journey in Fast and Furious. 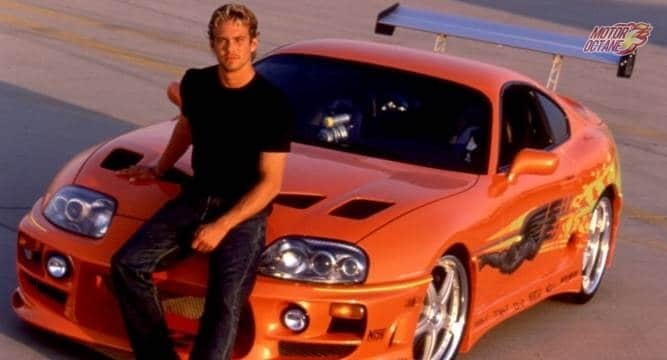 We saw Paul Walker in the first movie race Dom in this car against a Charger and cruise at the end of the 7th movie in a white Supra to along with Dom. The car is very symbolic for enthusiasts everywhere. Last but not least. The most underrated but coolest car in the author’s opinion. Buick only sold 1000 of these cars ever. So they are super rare. The car was seen at the start of the 4th movie where Dom and Letty are stealing fuel tankers in South America. The image of a black GNX power sliding under a burning petrol tanker is the coolest start to any movie. 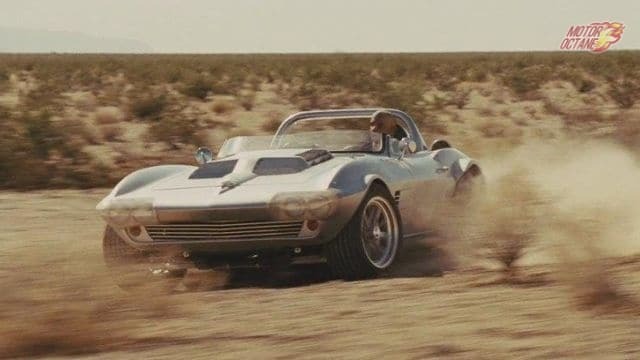 There are many cool cars in Fast and Furious. Any car that you particularly like? 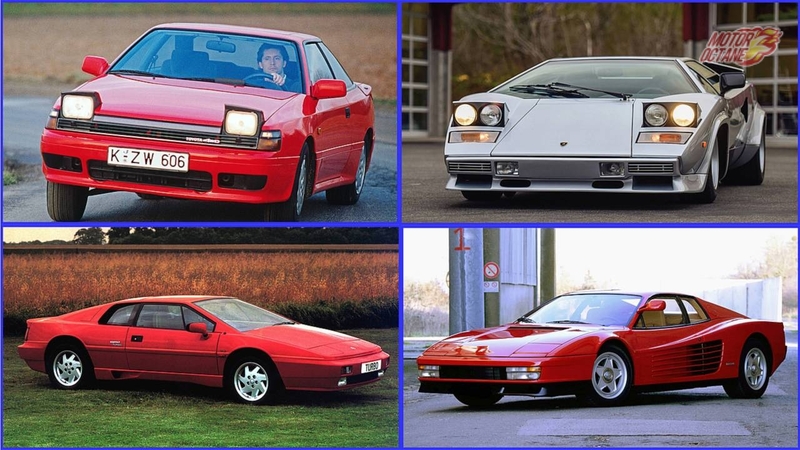 Any cars you think that should have made the list? Let us know in the comments below. I am stuck in slow moving traffic, a usual monsoon evening for Mumbai in the rainy season. While this is normal, I was a little tense because I had a flight to catch. 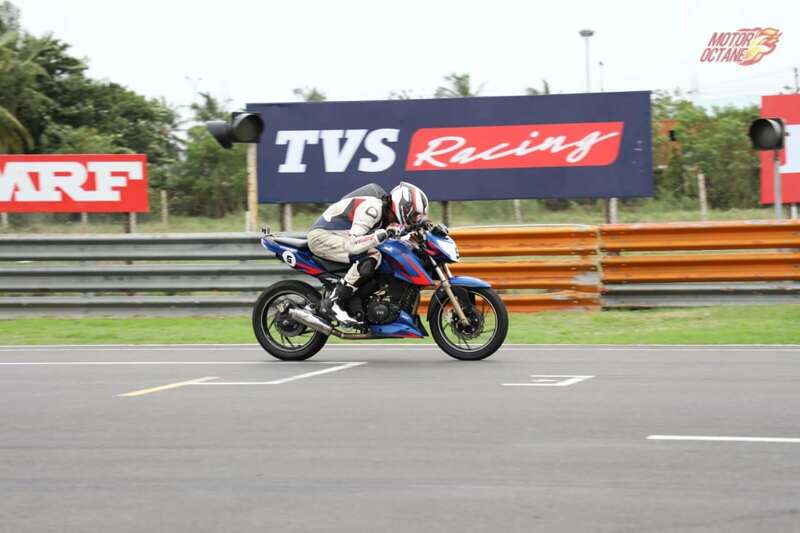 The check-in counters had already shut and the along with the flight, I was also going to miss my second race with ‘TVS MOTORSPORTS’ at the Madras Motor Racing Track in Chennai. Before the horrible thought had sunk in god intervened. The flight had been delayed by 30 minutes. The non-stop rain had made me late and also delayed the flight. Who knew a delayed flight would turn out to be a blessing in disguise. So here I was, with my boarding pass to Chennai and another chance to get on the race track. Having already experienced dread at the airport, I was wondering how this race would be. TVS had arranged our stay at Fairfield by Marriott at Sriperumbudur near Chennai. We needed a good night’s sleep because the next two days meant a lot of action for us racers. Next morning, I met the other racers and our team coordinators for breakfast, post which we left for the track. We reached MMRT in the morning at around 8:30am. Entering MMRT is quite a different feeling for me. This is the place where we underwent our training with TVS TEAM FACTORY WORKS, the place where I stepped into the adrenaline fueled world of racing. Our free practice session was scheduled at 10:30am. During the practice session we got comfortable with our Apaches flying around track. We are given a half an hour of practice time to feel the track, the curves and also to see how our designated bikes are performing. This was vital because they we could have minor alterations or adjustments done before our qualification round. I was given bike number 10 for this race. After the practice session, I asked the team of mechanics to work on the handlebar as it was a little too tight in right handers, the tyre pressure had to be corrected and one of the foot pegs was replaced due to massive vibrations at higher rpm. Post this at 1pm it was time for our qualifying round. The best lap timings would decide our position on the grid. Having been on this track for our training sessions, most of us were a little more confident being here and as this was going to be a faster track than our previous round at Kari Motor Speedway, which is too technical to race at. The qualification round was a little too tough a competition than expected and everyone was surprised by the results. I finished 8th out of 10 riders with my best lap timing being 2 mins 41 secs. Finishing far behind the guy who finished first, I wasn’t happy with my performance. Maybe it was over confidence that got the best of me. Post this round, we went for a track walk with our mentor, Harry Sylvester. Having walked the entire 3.7kms track, he explained to us our braking points, apex points and suggested what gears we should ideally be using on any particular turn. The track has 12 turns and 3 straights, which make it quick and relentless. We learnt about the track in much more detail and by now all of us in our head knew what mistakes me made during qualification. We were now more prepared for the next day. Even though monsoons were in full swing here, the rain gods were pitiful. Maybe they wanted to see us race. The weather was far better than the last time we were on this track. It was peak summer when we started our training and would feel as if we were wearing body ovens rather than riding suits. But thankfully, it was cloudy and breezy this time and we could definitely maintain our cool. Our race was scheduled at 3pm. The race would last 6 laps that equaled to a total of distance of 23kms. Being positioned at number 8, I was far behind on the grid. Seconds before the signals went off, one of the riders had a false start which confused us all. The race started in complete chaos. To worsen the situation, I too had a bad start and watched the rest of the pack vanish ahead on the first straight and turn into Turn 1 after that. I had a lot to catching up to do. With our instructors tips running through my head and the mental pressure to go faster I started hunting down the pack. Making ever turn as crisp and neat as possible became a mission. I was braking late as possible and hitting every apex at maximum speed. I overtook two riders over the course of 6 laps and another position as a rider had crashed and couldn’t finish his race. Finally all said and done, the final outcome of the race placed me at 7th position with my best lap timing being at 2 minutes 30 seconds. I was glad that I managed to shave off a good 11 seconds off by best time from the qualification round. Maybe it was because of the mental pressure of being last, the track walk or just every rider’s goal to be on pole. I wasn’t very happy with my performance in this race and had expected better results. But that does not dissuade me, every lap and every race teaches me more and maybe the next race at the Buddh International Circuit would turn out to better. My overall experience with round two of the ‘TVS Young Media Racer Program’ has been great. It is because of their great team, our mentors who support us, a lot of man hours put in by the mechanics, the pit crew and the marshals that something like that has been made possible. Headed back with a certificate of participation in hand and a lot of happiness for my co-racers who finished at the first three positions, it was time to celebrate. Stay tuned to know more about the next race at the Buddh International Circuit. We are excited for this one. Hoping that the experience of riding on an F1 track would be memorable and much faster. 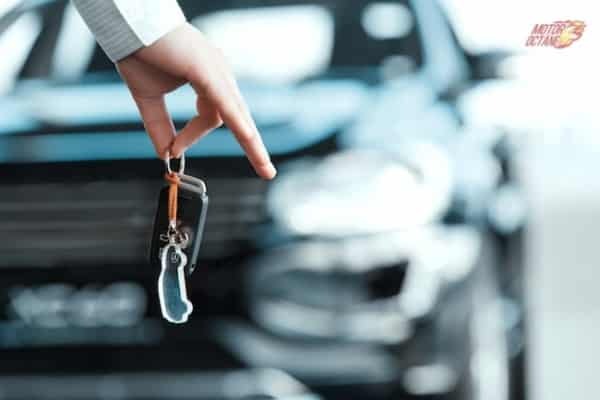 A brand new car is a big investment and the pride and joy of an owner. The reality however is that the car is still a mechanical tool that will wear and tear after a while. The car with its daily use and abuse will become less efficient over a long period. Some problems may surface sooner than you think. A lot of these problems can be postponed and avoided if you treat the car in a certain manner when it’s brand new. In addition to these tips below, do refer to your owner’s manual and the proper break-in period for the car and its servicing schedule. Also during an emergency while driving, one must not adhere to these tips and do the needful to be safe. Personal safety is more necessary than anything else. There are some people who will say that their car has a very tall 3rd gear and they like to use it completely till the point the rpm allows. Yes, that is a good thing for acceleration. But in a brand new car where the engine is working out imperfections and the gearbox and clutch are being worked in, that is wrong. The car will be more economical to run and the transmission will have less load on it f quick upshifts will be done. The rpm on cars also varies. The petrol engine on most cars has a high rpm available. 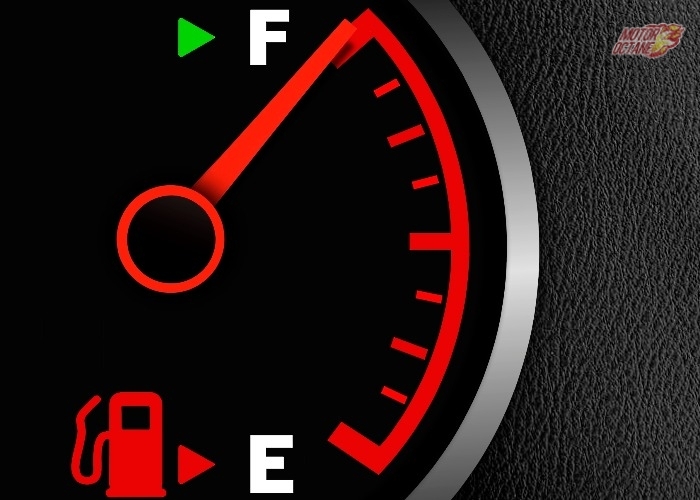 The rpm available on a diesel engine is lower. Also in cars there is a rev limiter which does not allow the car to exceed the rev range and in automatic and new cars with clever ECUs the car changes gears n=more quickly to be in the meat of the power band in the rev range and not be at high rpm wasting fuel. Cruise control is good and a feature that is great for long distance drive to ease fatigue. But in a new vehicle, the car should be treated with different loads of speed. 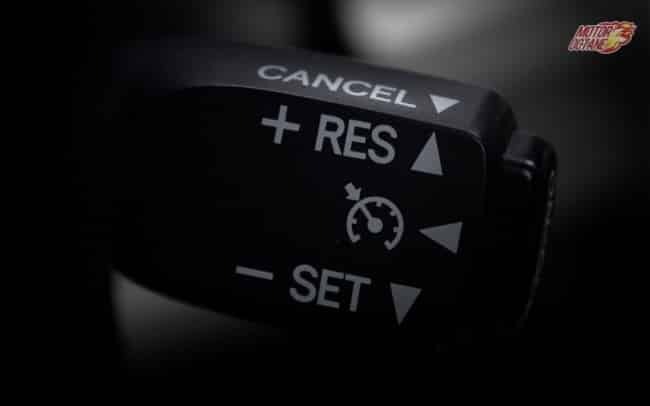 Especially in manual cars that cannot shift gears for themselves, will hold the engine and the rpms to a certain speed which will put a lot of load on the car. Let the engine exercise with different loads of power and performance. 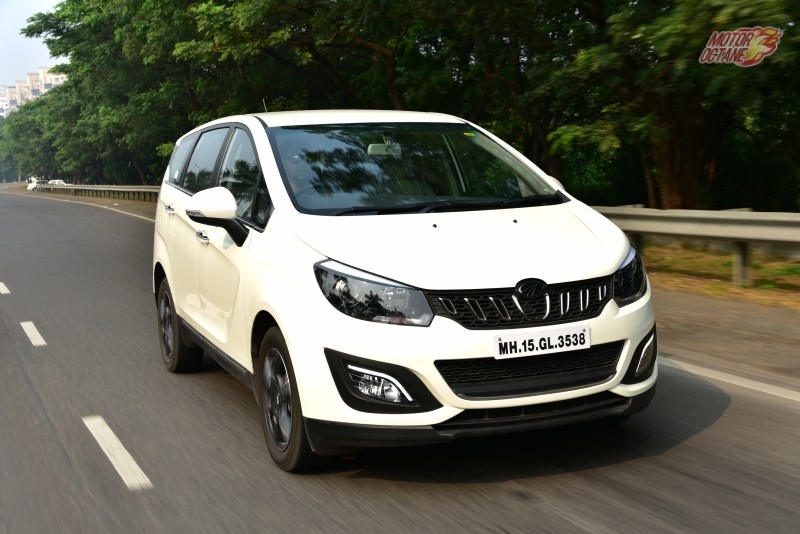 The clutch and engine need to get used to a different varying condition and that is why one should avoid a long distance road trip on a brand new car which will involve the car sitting at one constant speed and rpm. I know what you are thinking, don’t do a road trip but also don’t drive for a small distance, where is the logic? When we say not to drive short distances. We mean to say that the engine in a new car needs to operated enough on any outing that everything can come up to operating temperature. Engine wear at a constant temperature is best for the engine to experience higher and varying loads in the future. Your can do it, doesn’t mean it should do it. Any car should be allowed to reach its break-in period where everything has been starched to its maximum and the capacity of the car to lug more weight than its own is alright. Till the break-in period, the cars suspension, wheels, engine and other mechanical bits will be exercised and ready to haul more than its own and its occupants weight. The Jaguar Art of Performance Tour is an event that comes once a year to every major city in the country and always leaves enthusiasts and customers with a massive grin on their face. Having being a veteran of this experience for the past 3 years and given the opportunity to experience it again I did not say NO. 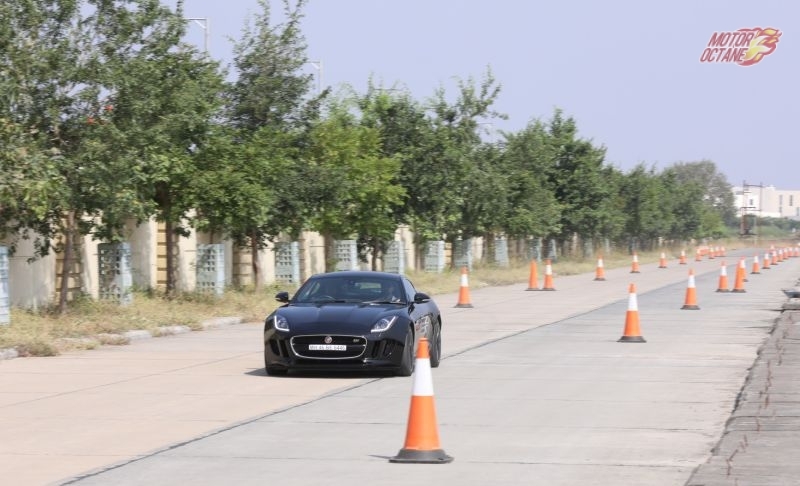 The event involves experiencing all the cars Jaguars make in India and enjoying them at their absolute limit. When I mean absolute limit; getting a behemoth like the XJL to brake hard and handle like you were ferrying a head of state away from a terrorist ambush or driving a Jaguar F-Type like you boosted it from Gone in 60 Seconds. There are instructors on scene that briefed us and explained us how to proceed with the three distinct parts of the event – Lane change activity, the slalom test and an acceleration run. Read below to know more about this activity now. We were told about the driver aids and other features that will make sure we are safe and help us unleash our inner – Lewis Hamilton without killing or wetting ourselves. The lane change test involves accelerating hard, suddenly changing lanes and braking hard. The aim of this test is to find out the vehicles weight transfer and dynamic ability. We were shown how a car would react under a high pressure situation where a split second decision needs to be made. 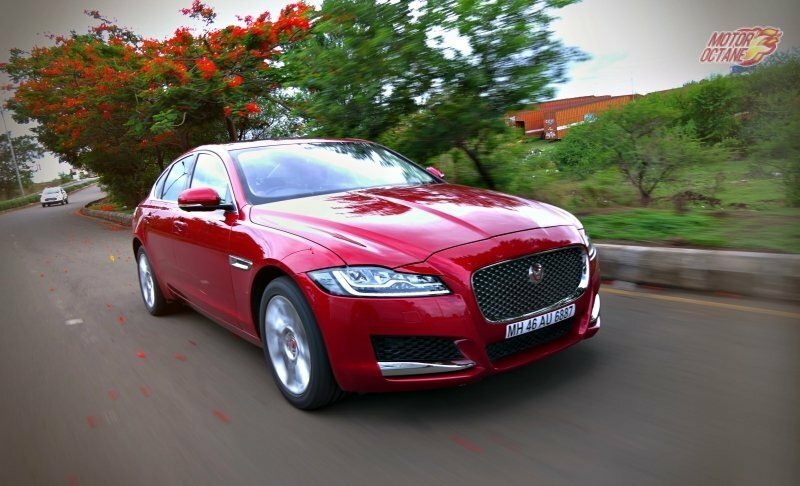 The car we tested here were the XE, XF and XJ. 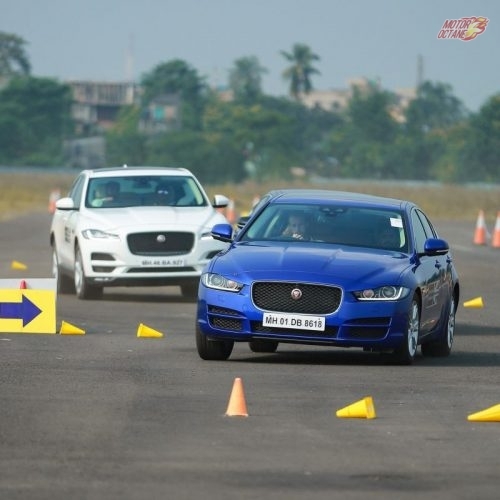 The XE and the XF were really good in this test. The most surprising was the big XJ that did not understeer and stopped on a dime in the braking box. In this test we had to hustle a car from left to right and pit in the braking box as fast as we could. The test oversees the cars handling, grip and acceleration through corners. Of all the cars we drove here; the Jaguar F-pace, the big SUV was surprising agile. The car which really left an impression was the nimble and smooth baby XE. The XF was also overall the most effective car here for me. With the race car driver chaperoning me sitting beside me telling me, ‘that was plenty fast’. According to him it was the fastest he had seen someone apart from themselves maybe, complete this test. Ah flattery; all part of the experience! The above tests were fun and technical. The last test was the acceleration run. There were two Jaguar F-Types on duty for that. I was the first to reach this test and made a straight bee line for the hot red SVR waiting for its first sortie. I got into the car, adjusted the steering, the seat and smiled for the cameras like a F1 driver giving people joy rides. Then the real racecar driver beside me gave me my instructions, don’t touch the gear leaver; he’ll handle that. My job was to mash the accelerator pedal as hard as I could and keep the 567bhp monster in a straight line. The car jumped of the starting line and the surrounding were a warp. And before we knew it, the braking point was there and the fury died down with a touch of the brakes. We then turned around and let the car unleash its fury back to the pits again. With the car slowing down and crackle from the exhaust on the down shifts subsiding, the experience was over. 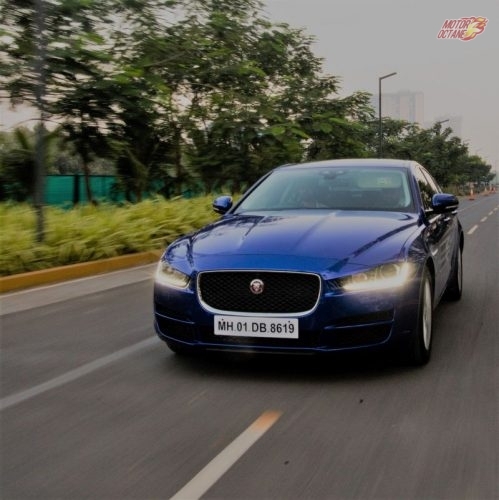 The Jaguar Art of Performance that took place in Wadala, Mumbai was a great experience. We in the cars were not doing a mundane test drive but were scaring and surprising ourselves with the cars performance and full capabilities. It was worth getting up early on a Sunday! How could you miss out on the most scenic location in Maharashtra! This is the best route that has never been taken. We encourage you to take this route and go out and explore the beautiful Maharashtra. Let us support this. Ridergirl Vishakha is a part of this and this entire road trip was possible because of our sponsor partners Coco by DHFL insurance. A new insurance brand that offers renewal and claims all easily through the web/mobile. 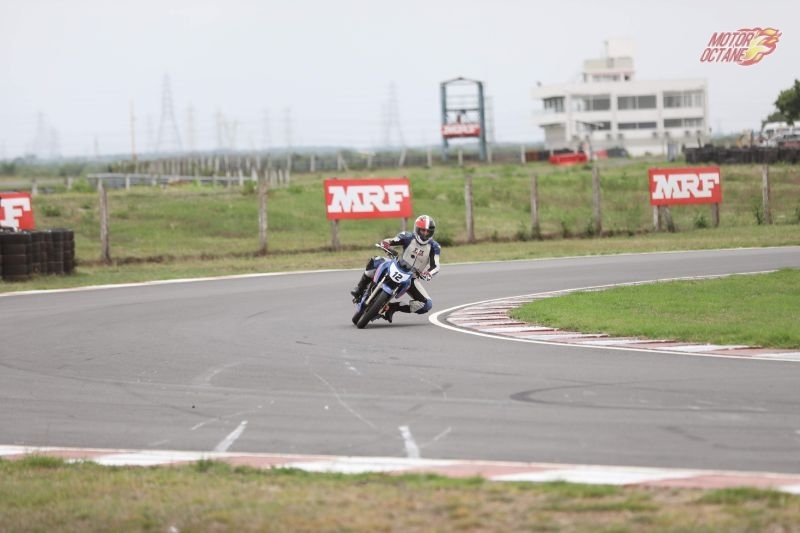 MRF MMSC FMSCI INDIAN NATIONAL MOTORCYCLE CHAMPOINSHIP 2018. The season will have three races over the next two months .The first round of races started off on the 8th of June spanning over two days and ending on the 10th of June 2018. Under the banner falls the national championship, TVS One Make Championship, TVS One Make Championship for women, TVS Young Media Racer & Honda One Make Cup. A weekend with heated track action, fast riders, race spec bikes, pit crews, adrenaline and cheering crowd is what you imagine when you hear ‘RACING’ and this weekend was exactly about all of this. But hold on….I am not a spectator! I am here at the Kari motor Speedway as a competitor. 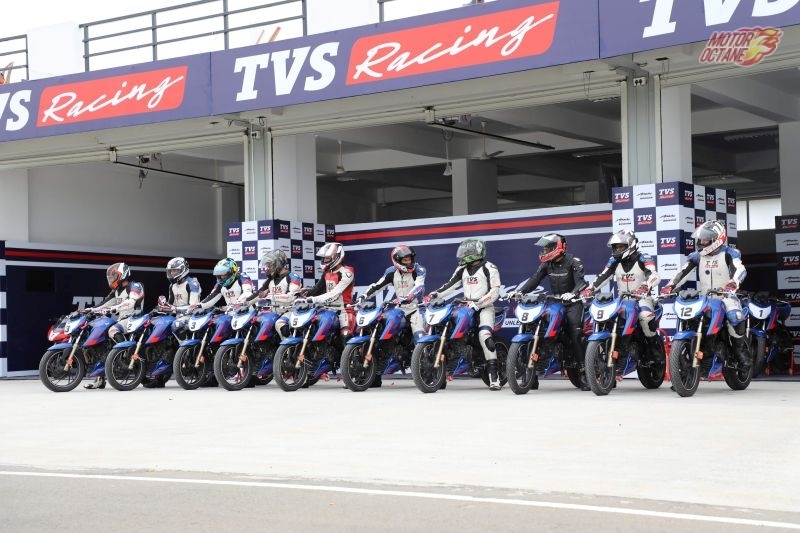 Yes, TVS Racing has given us media personal a chance to get a first hand track experience. Under the YOUNG MEDIA RACER PROGRAM, 12 journalists and motovloggers from different parts of the country were chosen. 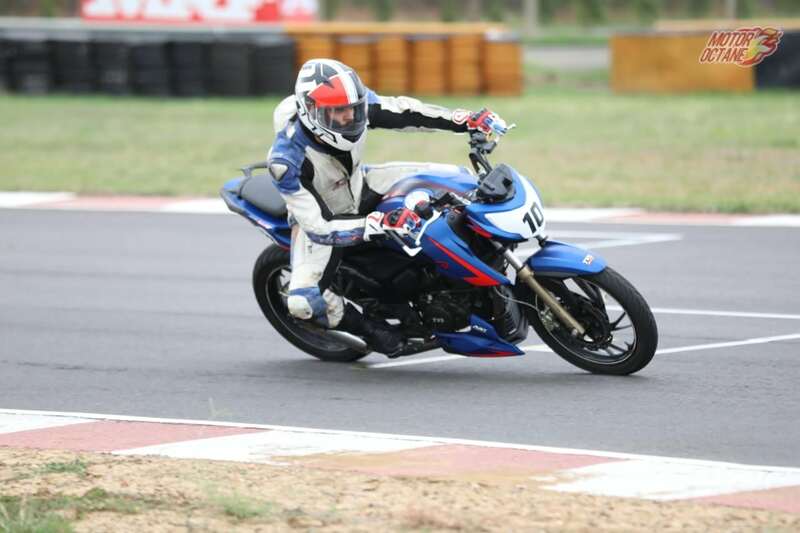 We received a training session last month on the Madras Motor Racing Track in Chennai under the guidance of our instructor Harry Sylvester, a six time national champion Jagan kumar and KY Ahamad. Here we were shown videos and trained step by step about the basics of motorcycle racing, it’s rules and tricks. The team at TVS Racing was really patient and we were given all the attention we needed. Harry Sylvester was patient enough to answer all our queries and questions whereas Jagan Kumar and KY Ahamad led us in two different teams on the track. Every time a new thing was thought to us. We would get back on to the track to apply what we learnt. Step by step, one at a time so that we do not get confused by the information overload. They also made sure each and every participant got a chance to ride right behind our instructors to closely observe what was being thought to us. 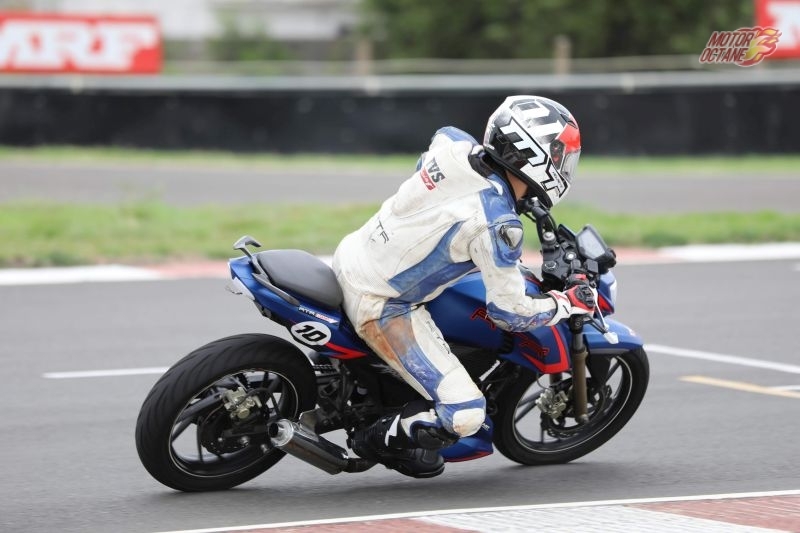 Being a first timer on the track I felt very comfortable and confident. TVS provided us with full racing gear except for we had to carry our own DOT CERTIFIED, DOUBLE D RING HELMETS. We got our hands on the race spec modified TVS APACHE 200.4V with a slipper clutch. The bike handled superbly and went around the corners like a piece of cake. I was surprised to learn what all this bike is capable to do on track. Lots of track technicalities were inculcated into our minds. Including braking, riding posture, turning for apex, checking the entry points, how to enter a turn and how to exit a turn at maximum possible speed. We were explained exactly where we should place our feet while not changing gears and how much should be the % ratio of braking and how to divide the braking efficiently between the front and rear brakes. To make things easier, the track was even temporarily marked so as to get a better judgment and make learning easier. Our instructors made sure as to give as much as personal attention to each of my fellow riders. Apart from basics, we were educated about the various rules one has to follow on the track, the flags and penalties. A start off so as to not pop a wheelie and if we do, we were also trained on how to control it without falling. We were shown training related videos, slides and some racing related motivational videos made by TVS. We were also provided with contact numbers for our trainers and instructors so as to call them and get our future queries answered. The team at TVS is always happy to oblige and open to feedback and suggestions. By the end of our training session all of us participants had also become good friends and enjoyed learning together as a team. 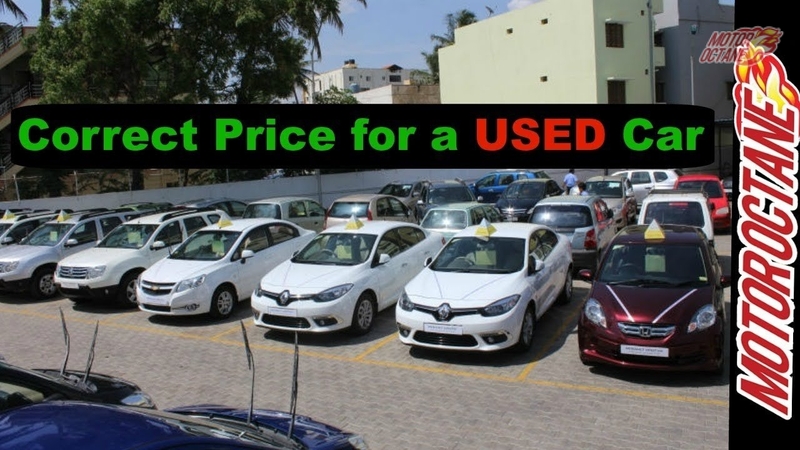 How to make a smart decision while buying a used car?